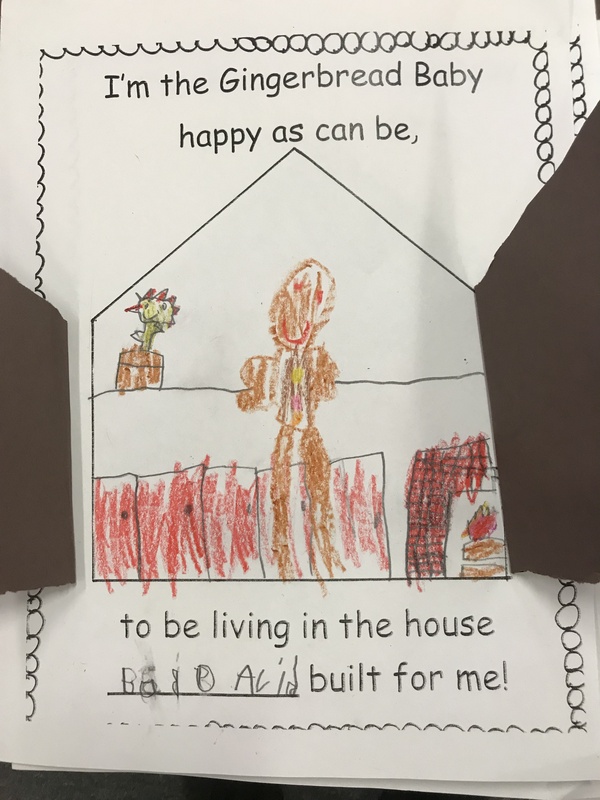 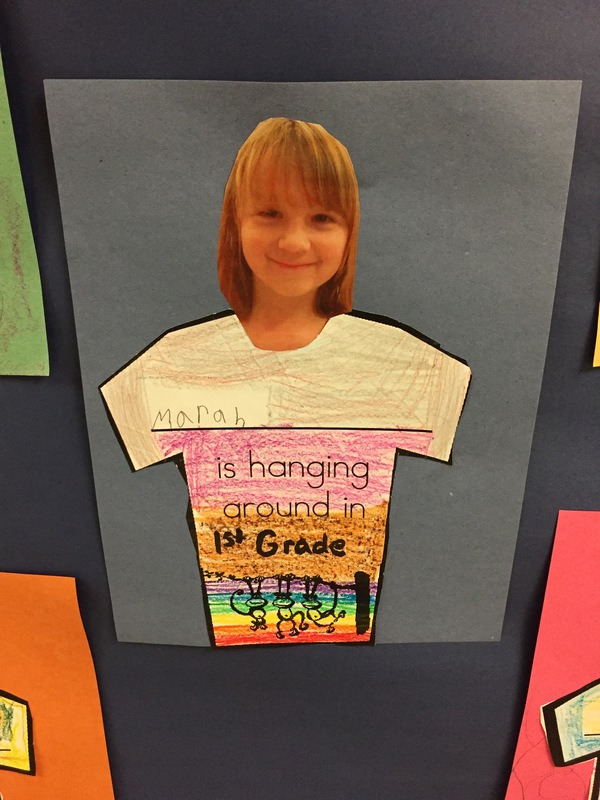 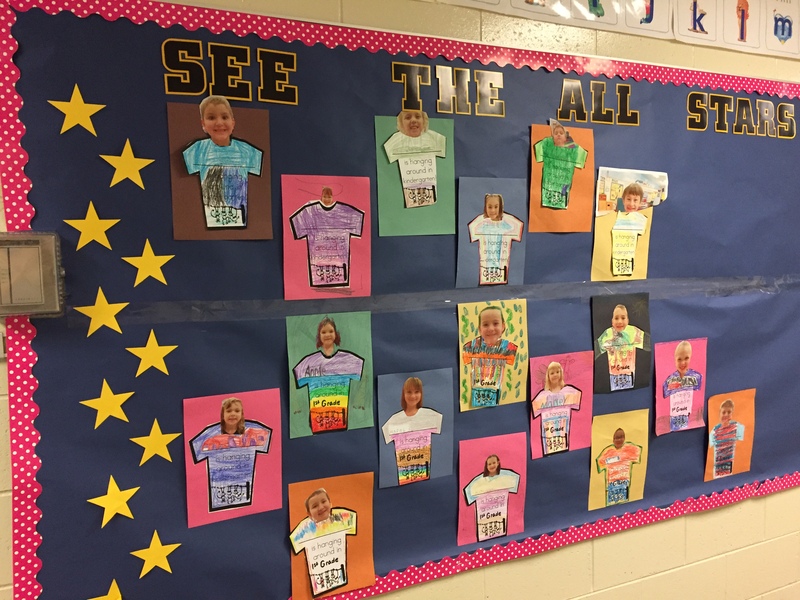 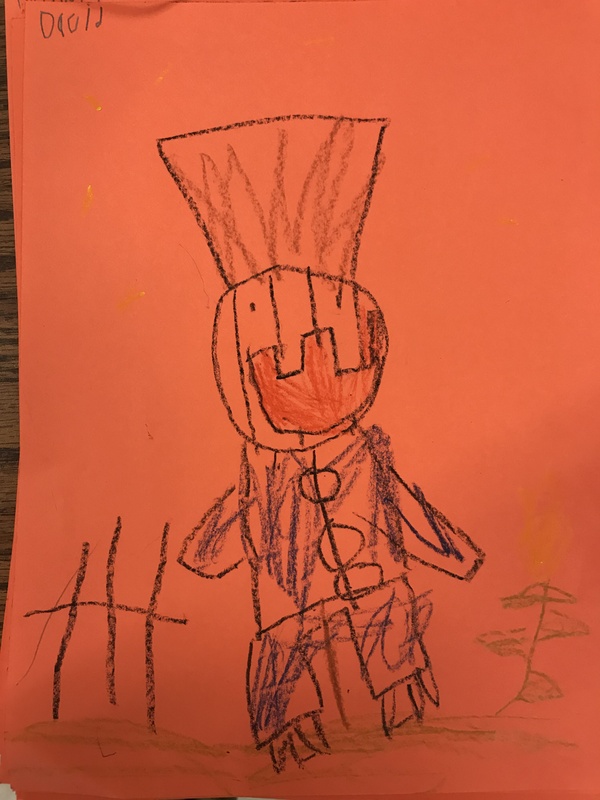 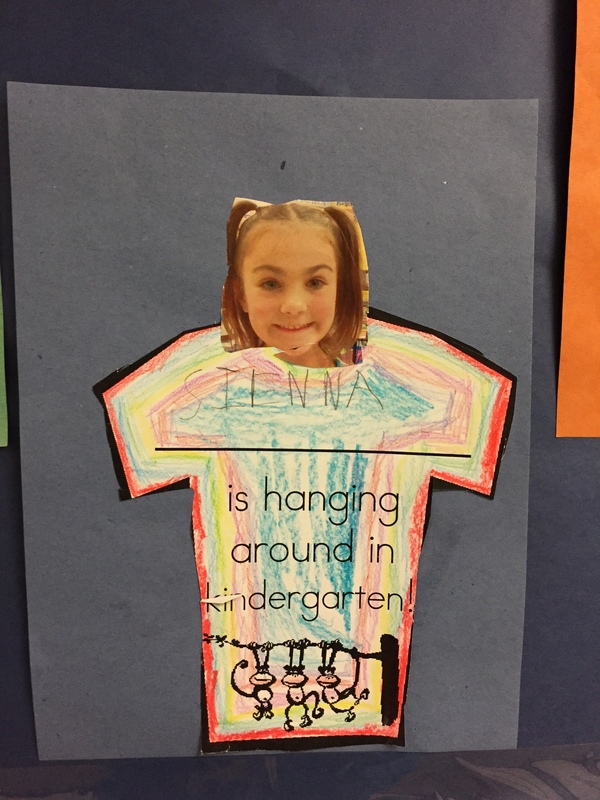 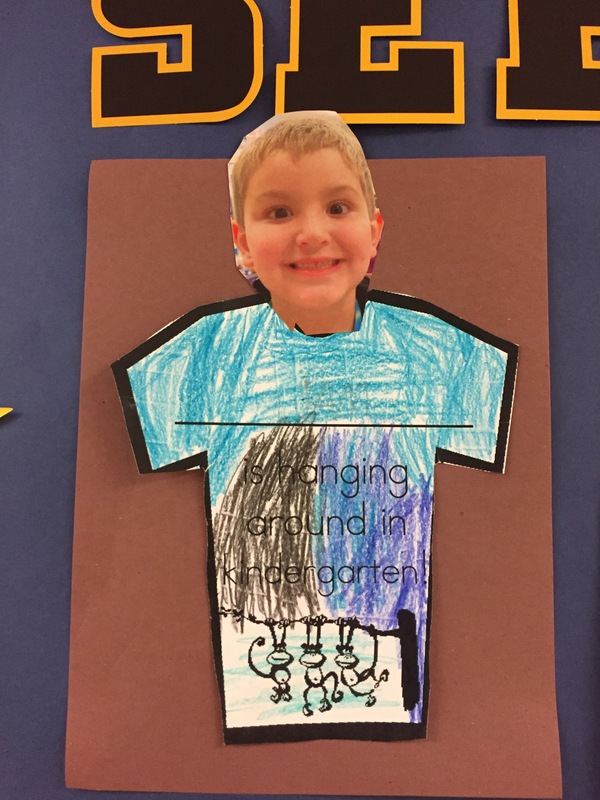 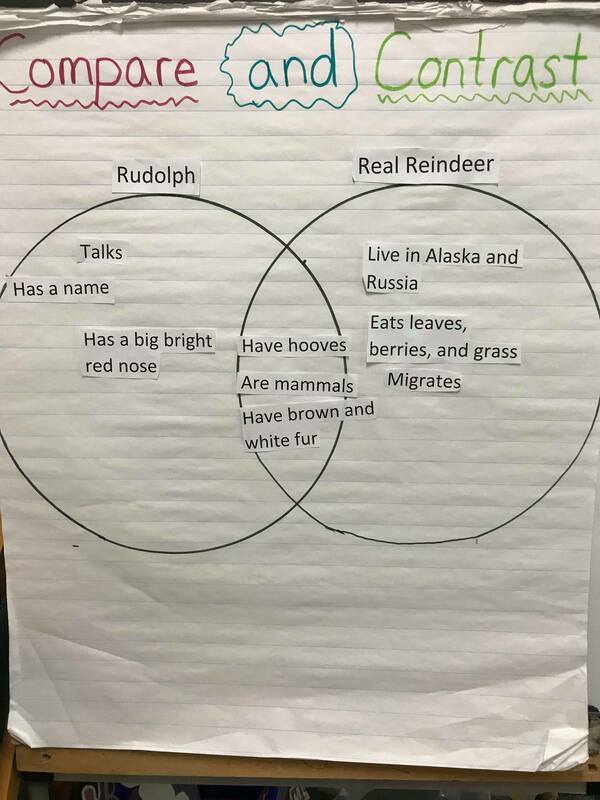 Sorry that this post is happening so late, things have been super busy in the Kindergarten All-Stars universe. 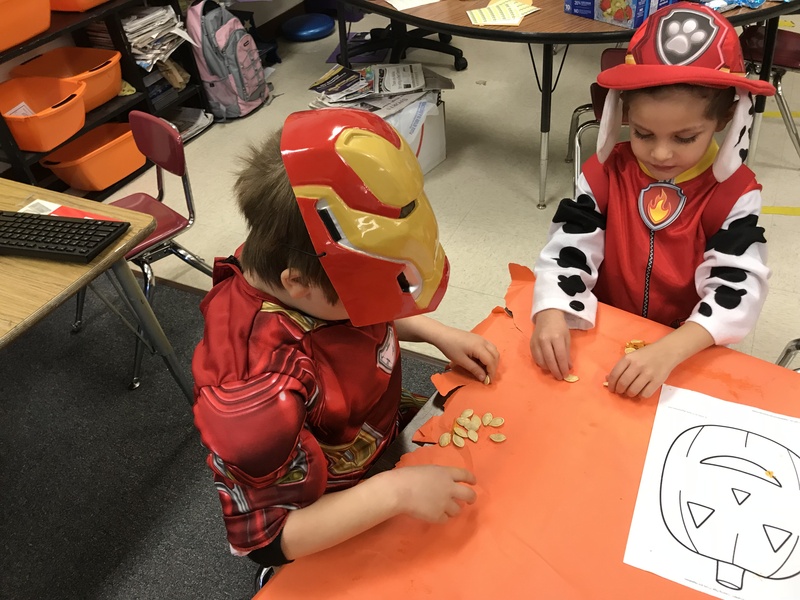 Then we got dressed up in our costumes and carved pumpkins. 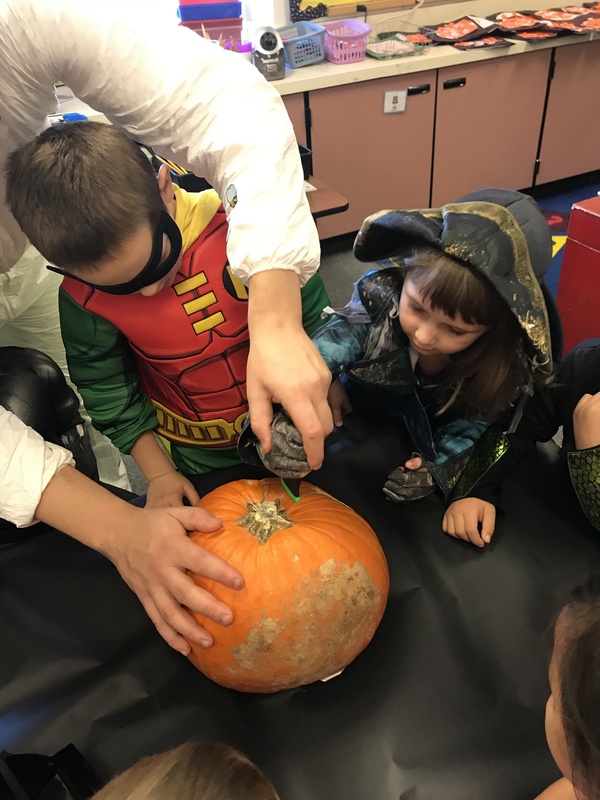 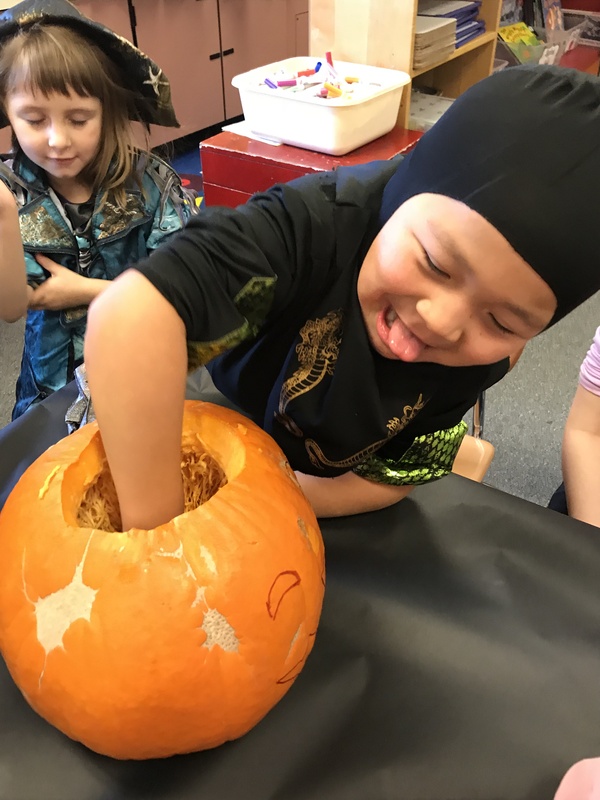 We got to feel the squishy pumpkin insides and count seeds! 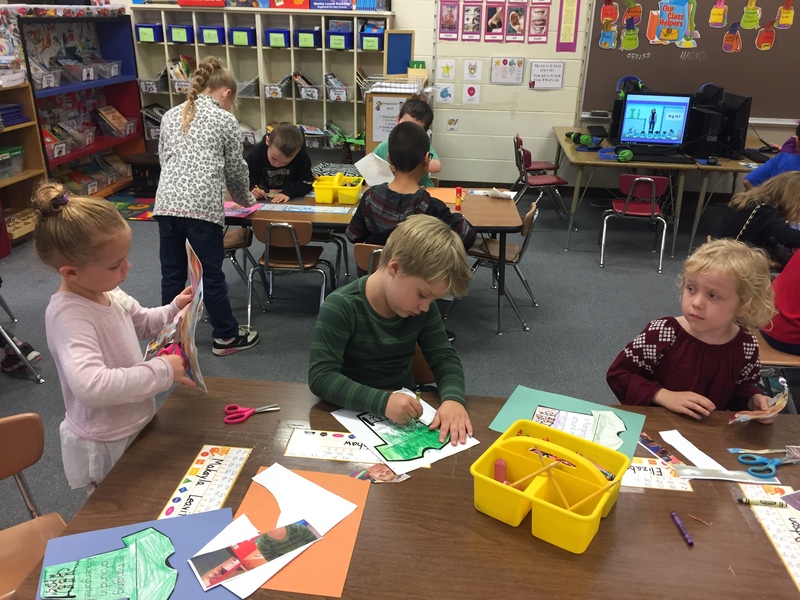 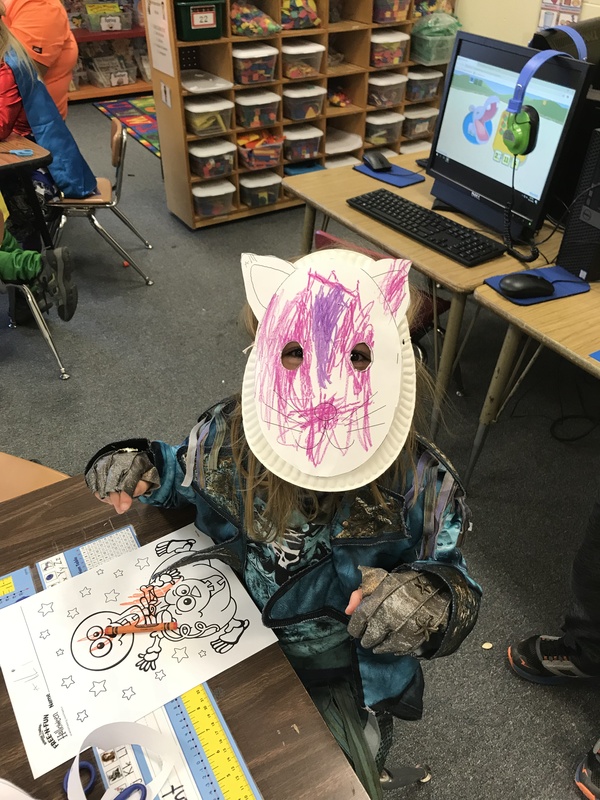 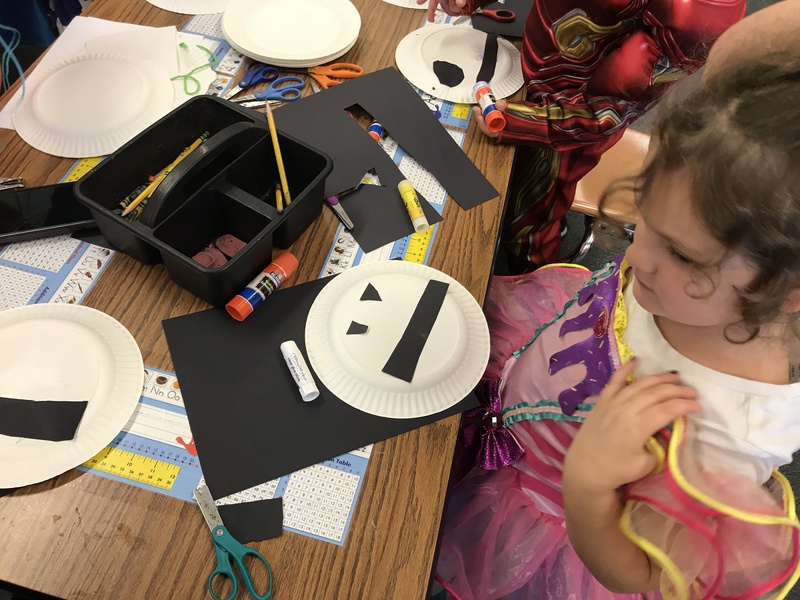 Afterwards we did Halloween stations where each student got to choose from 3 different activities; paper bag puppets, hanging ghosts, and Halloween paper plate masks. 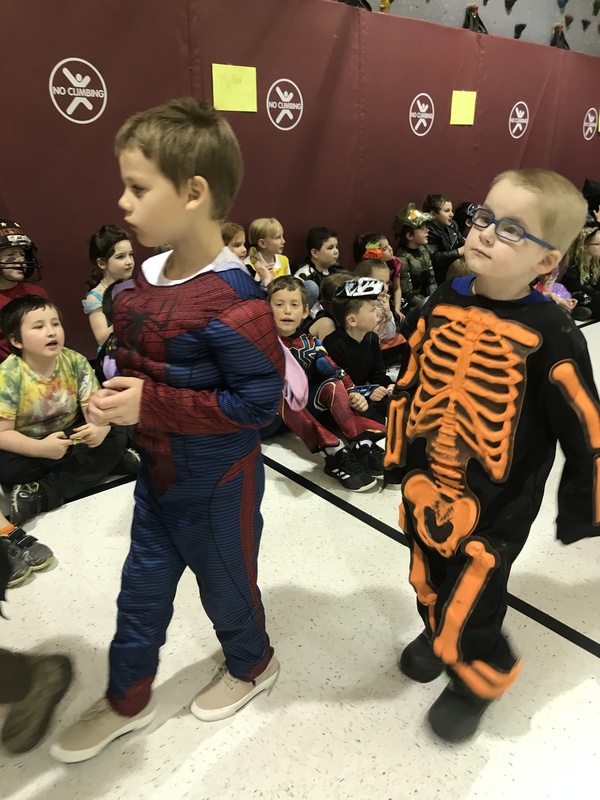 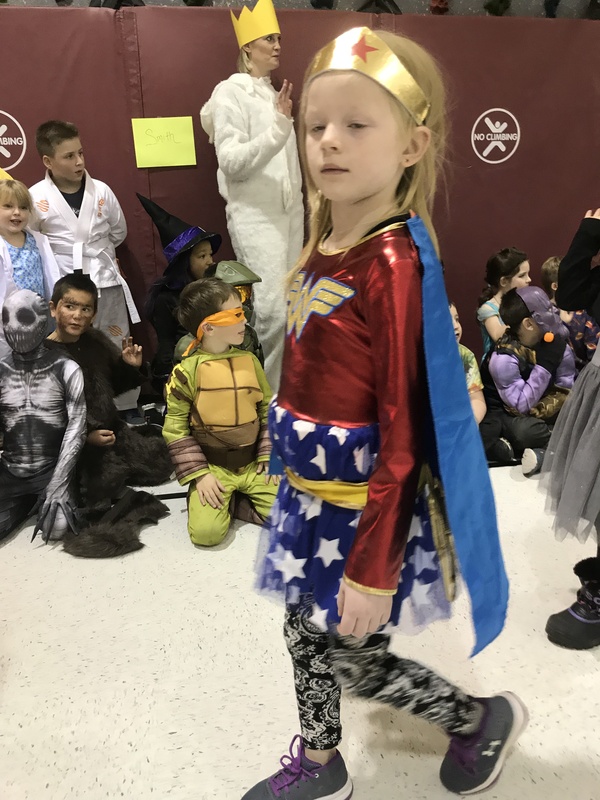 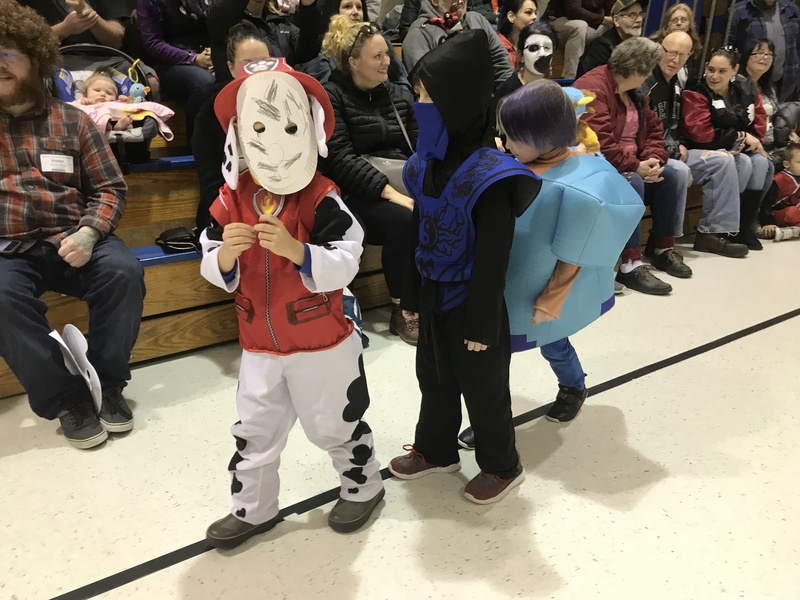 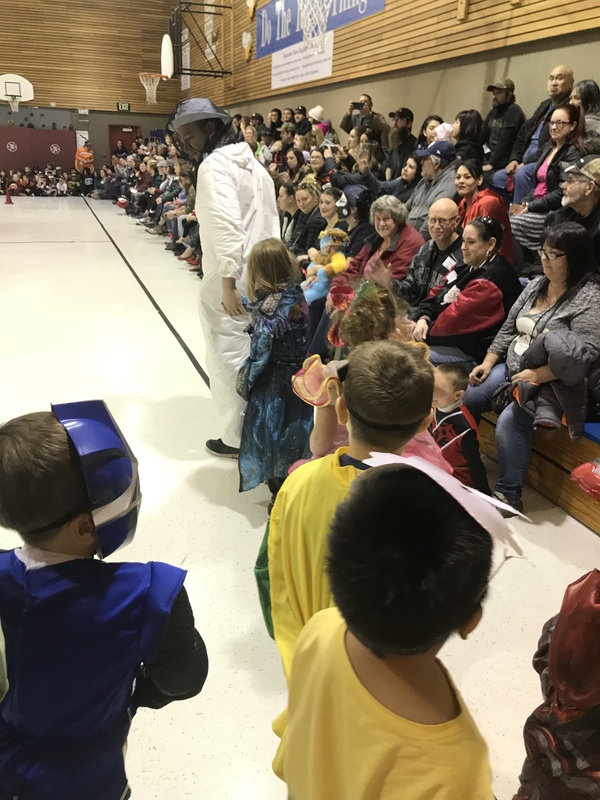 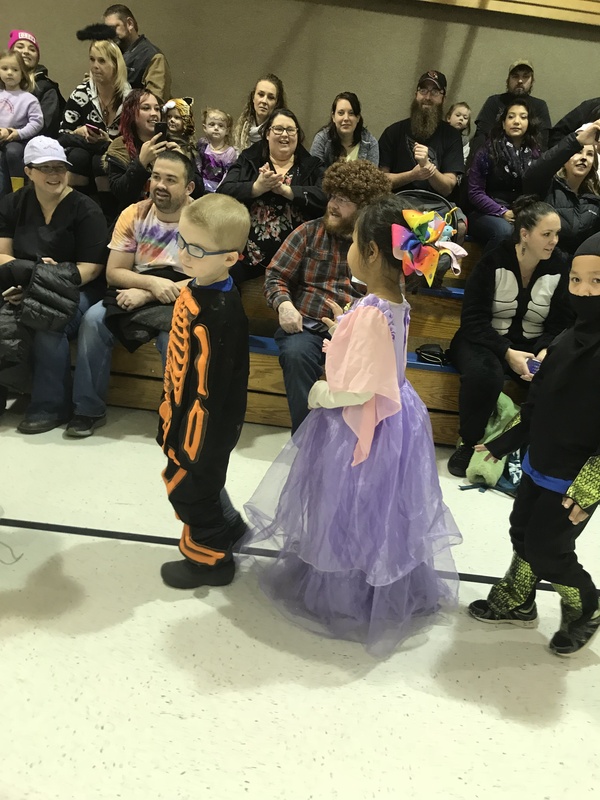 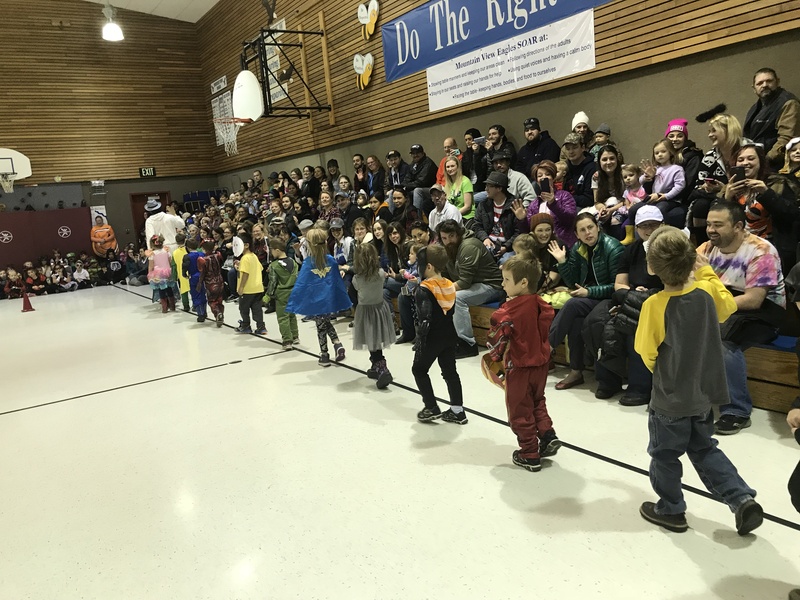 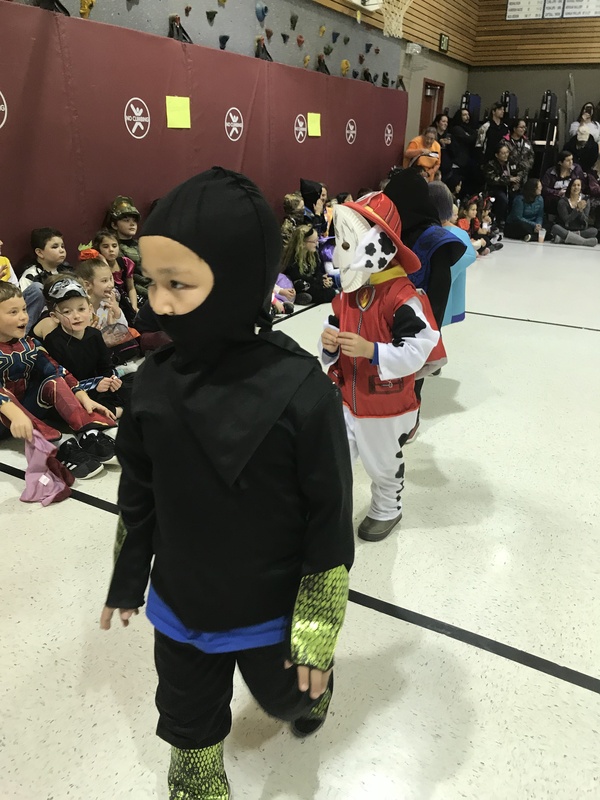 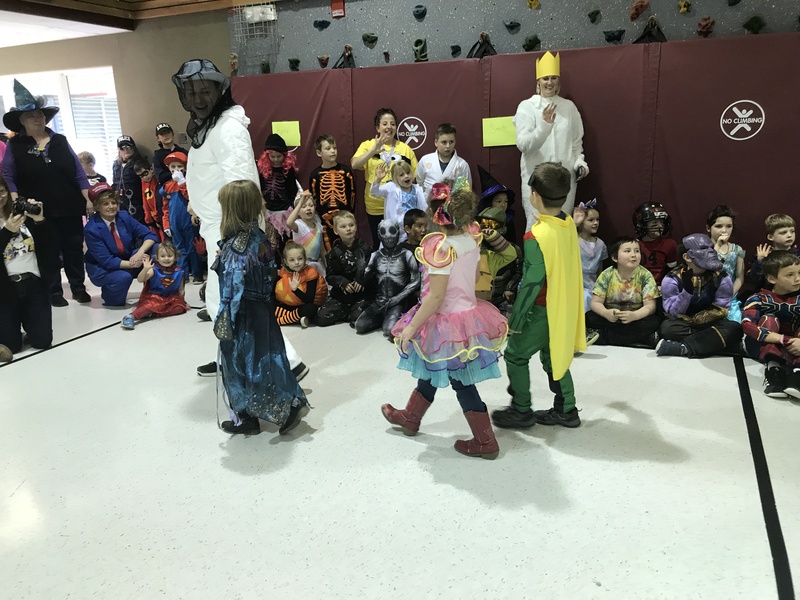 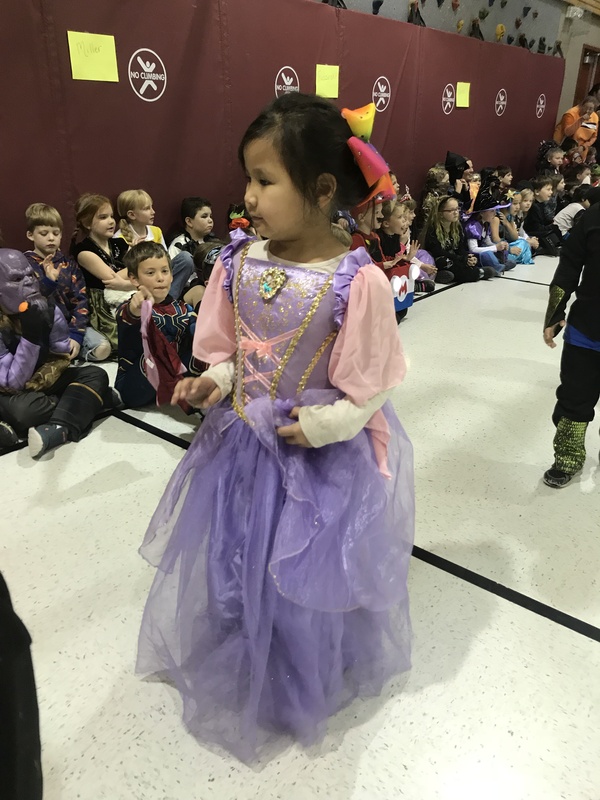 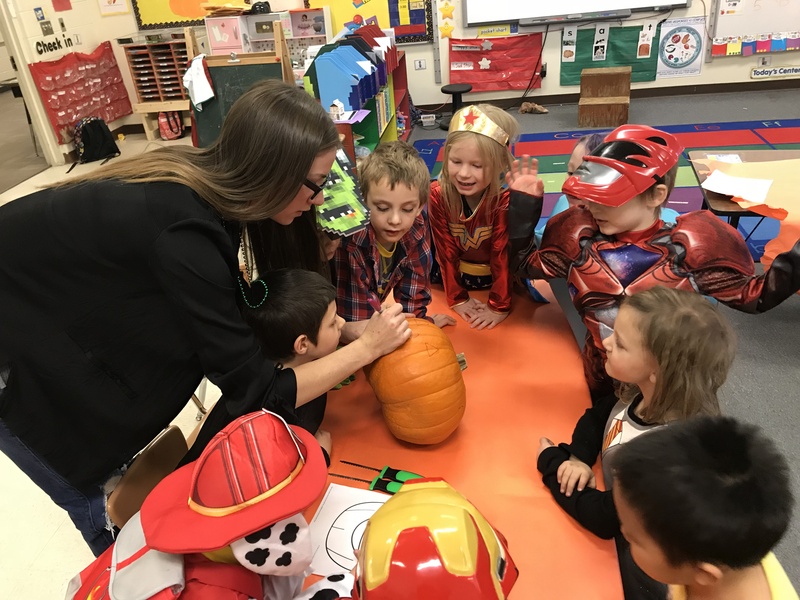 At the very end of the day all classes Pre-K-2nd grade participated in the annual Halloween costume parade. 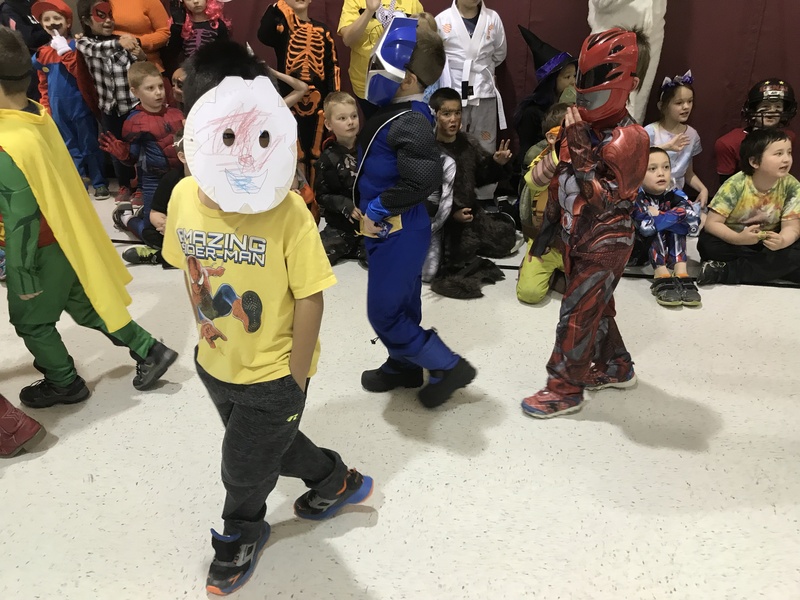 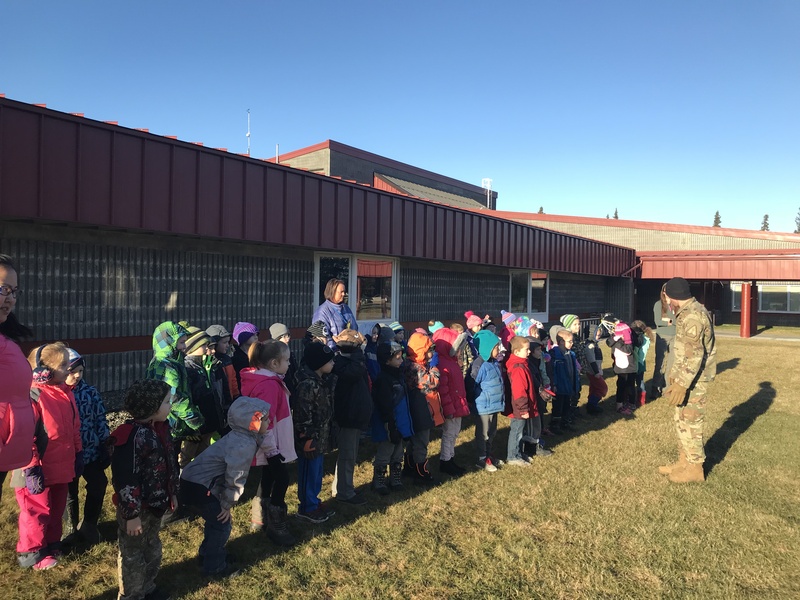 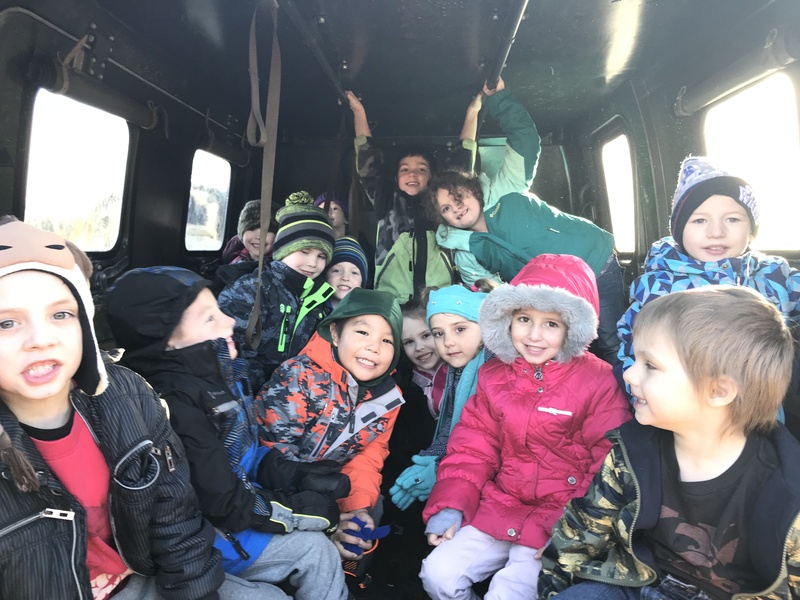 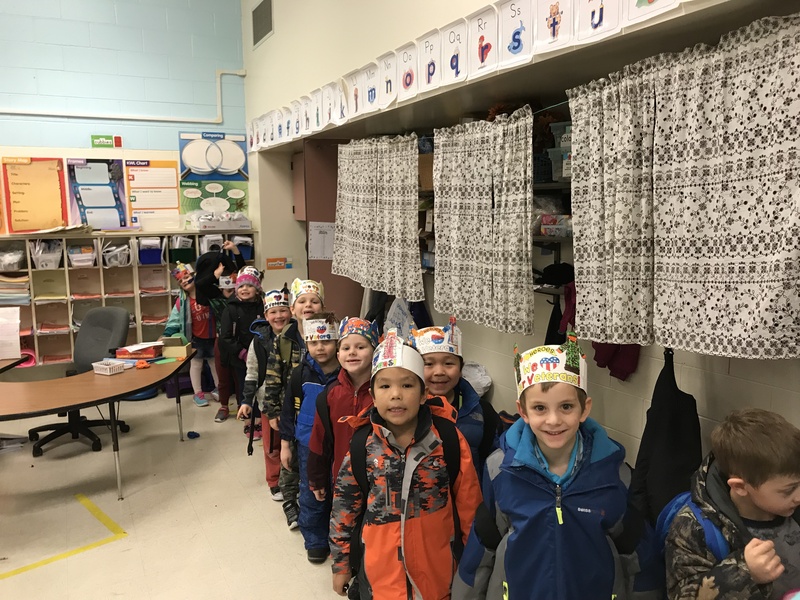 Students had a great time walking in the parade and watching the other classes as they went along. 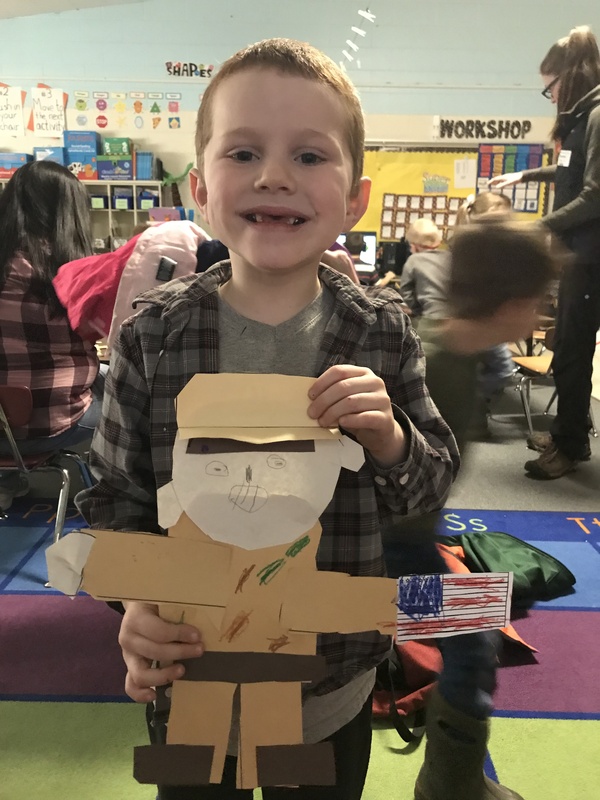 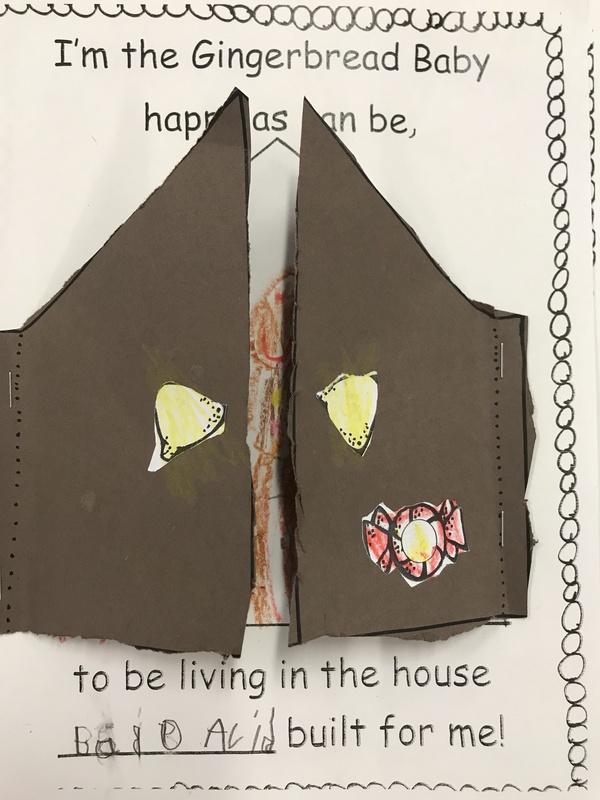 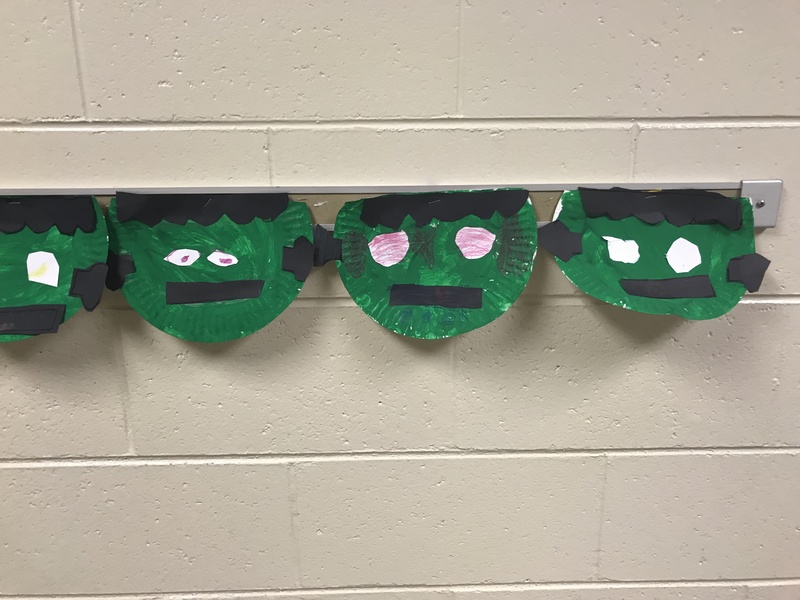 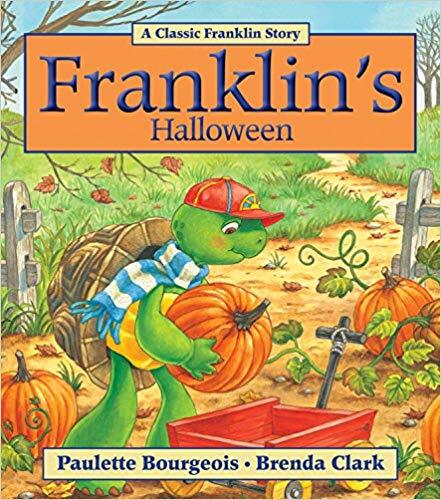 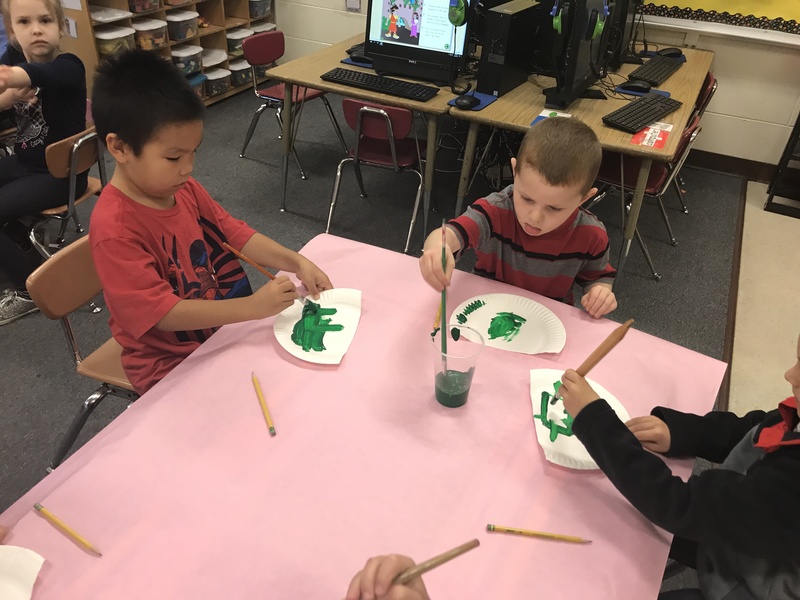 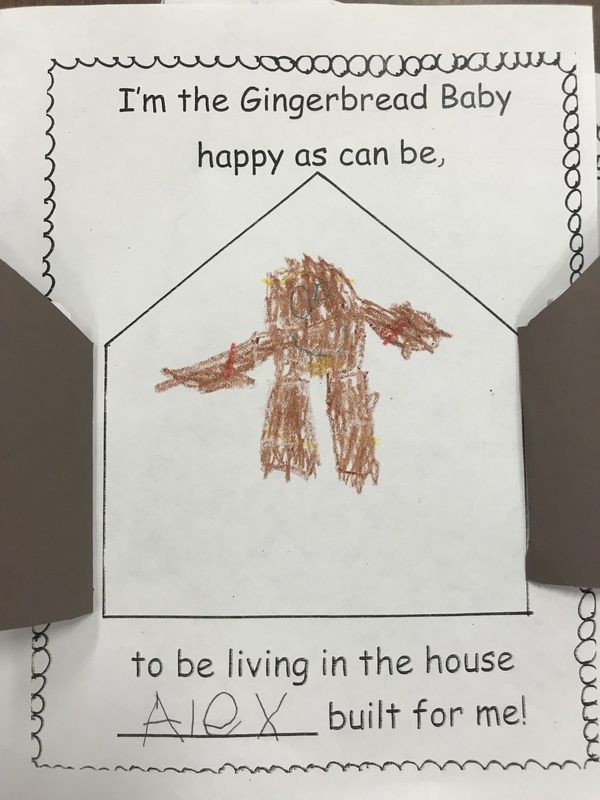 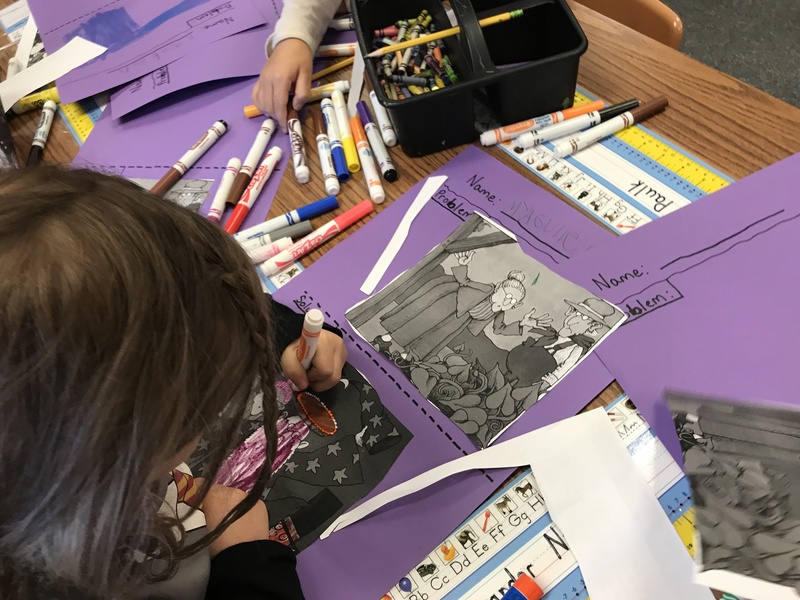 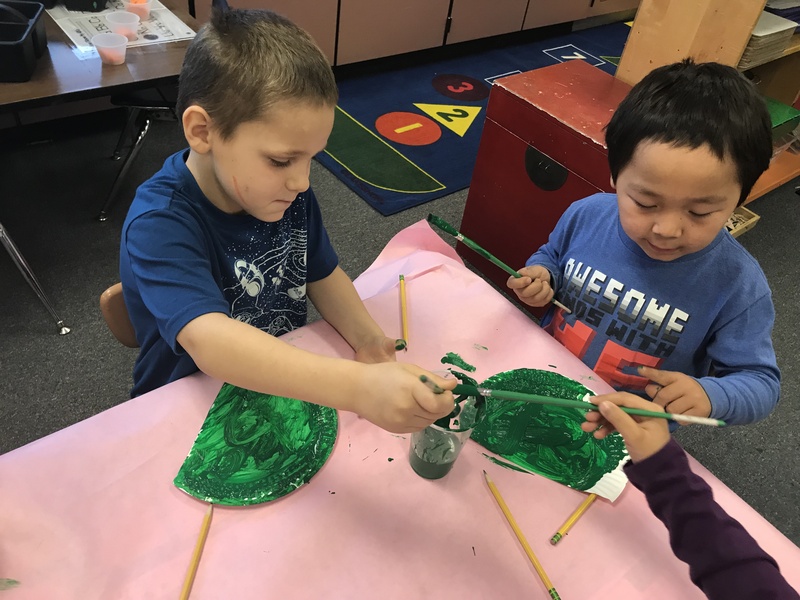 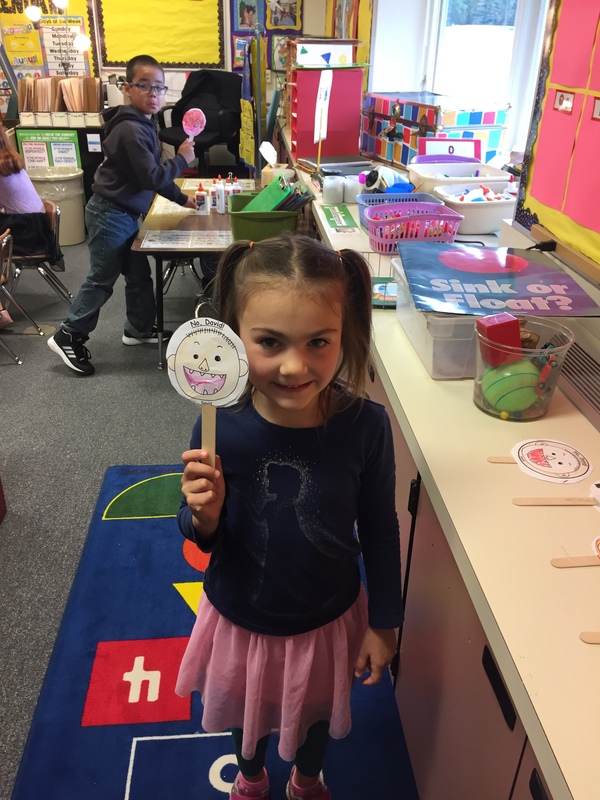 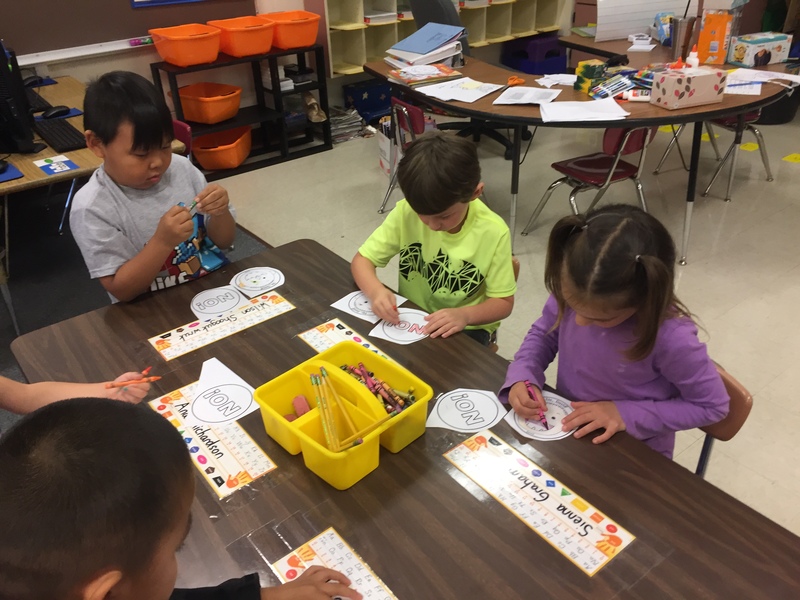 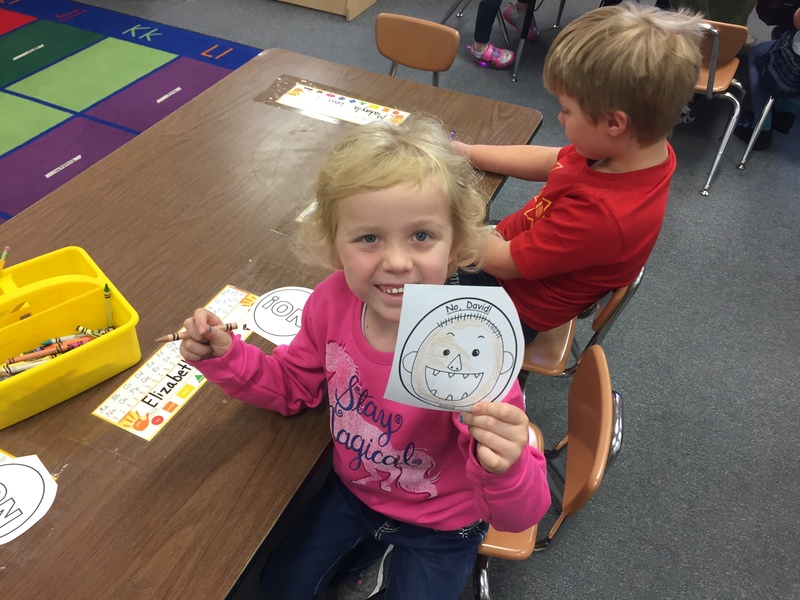 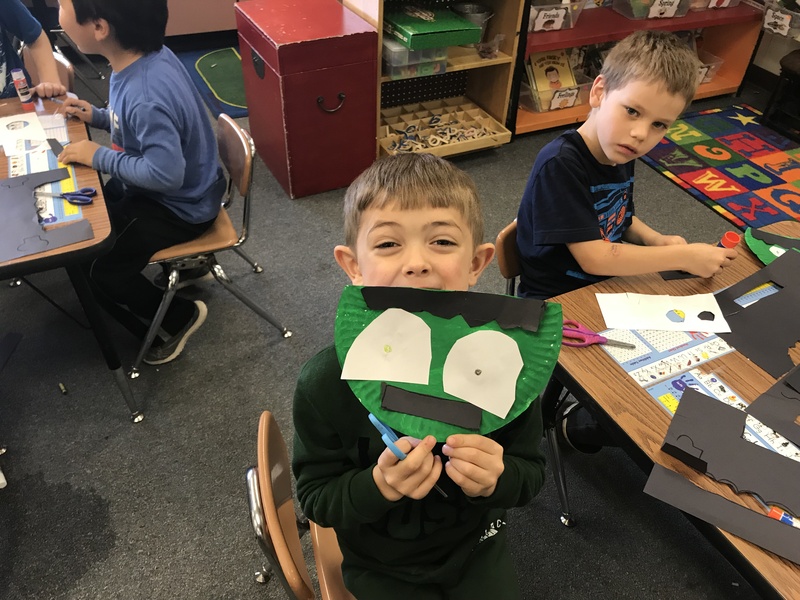 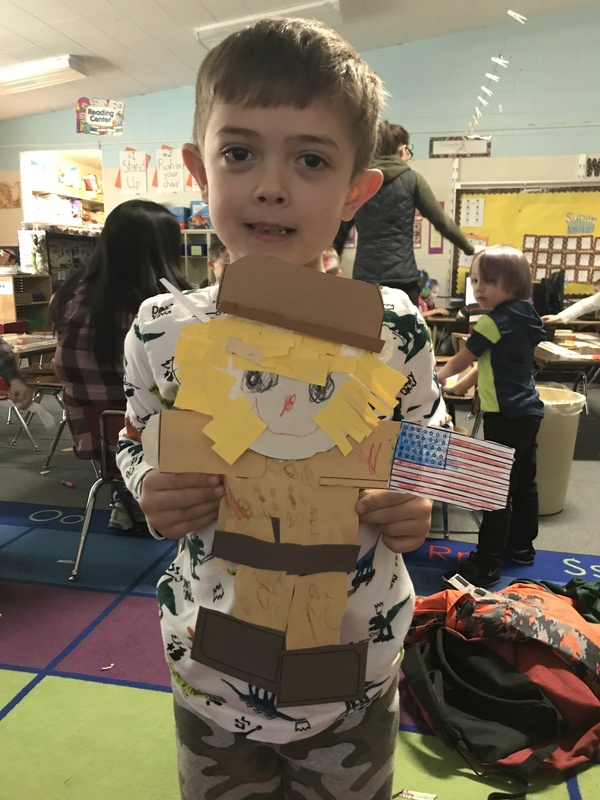 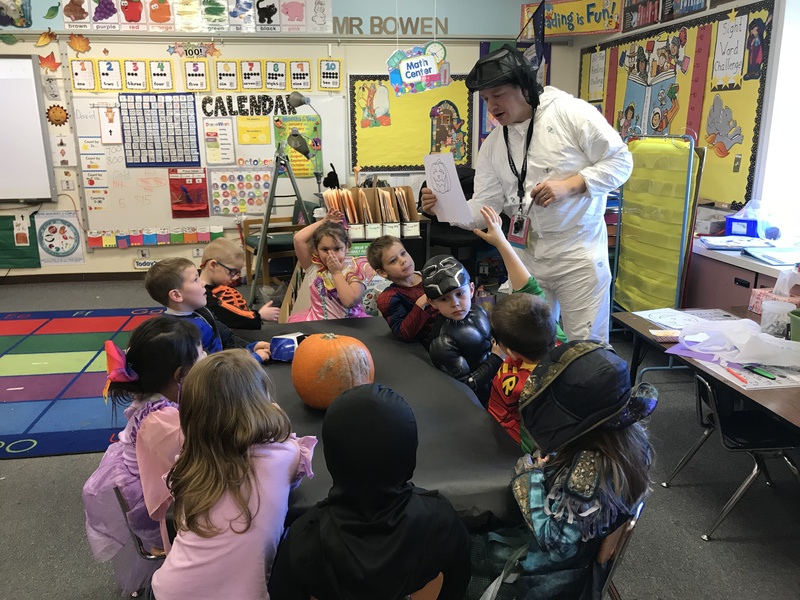 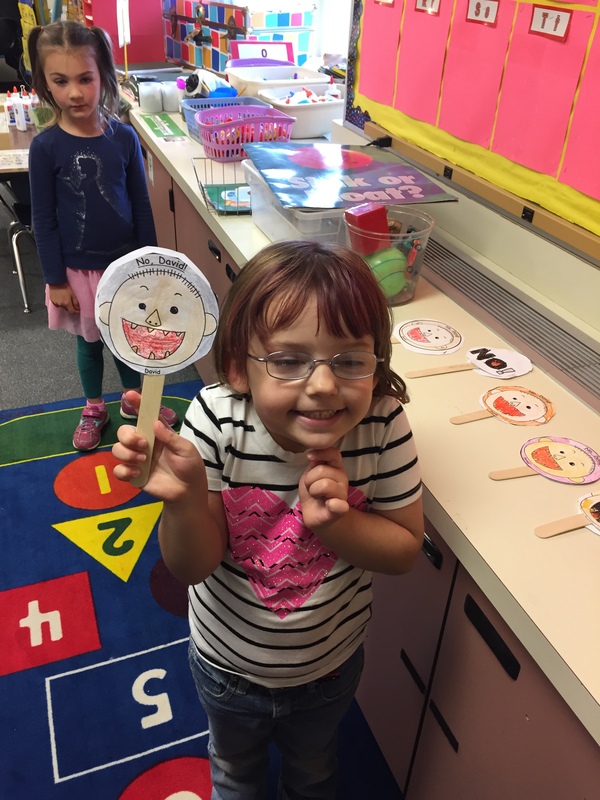 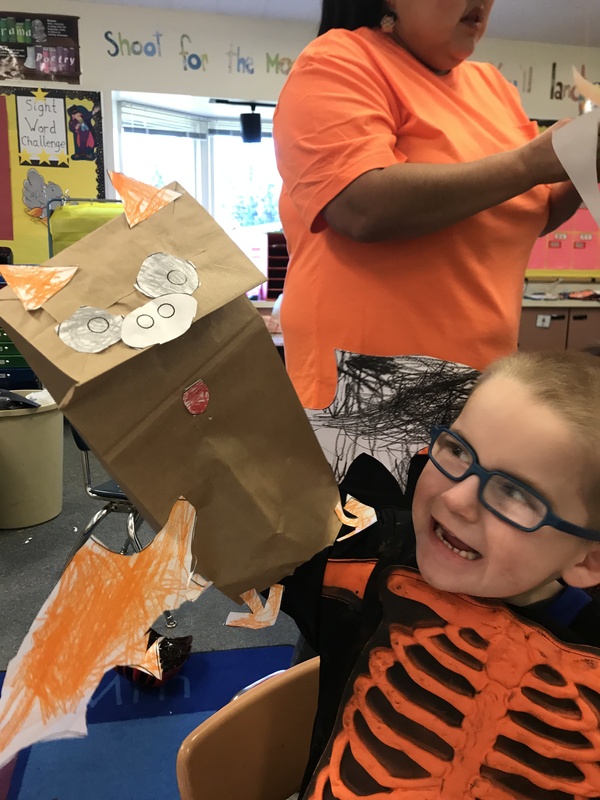 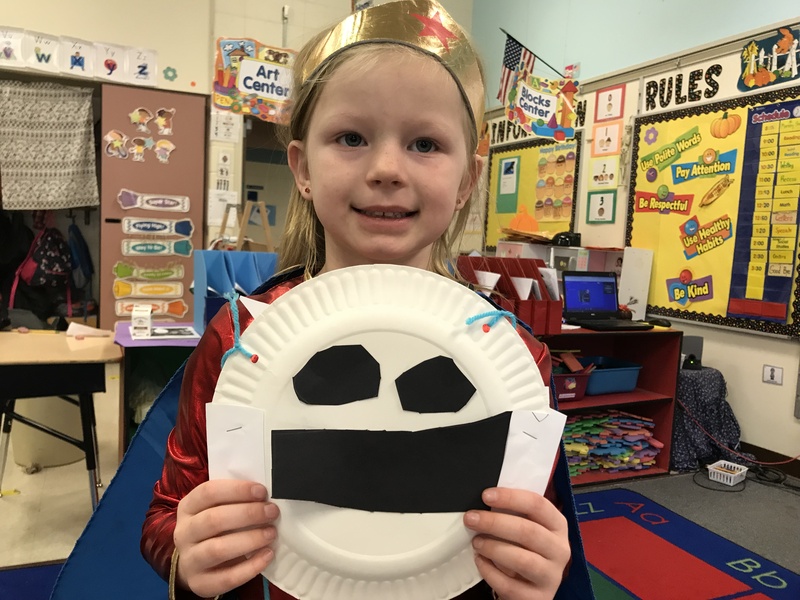 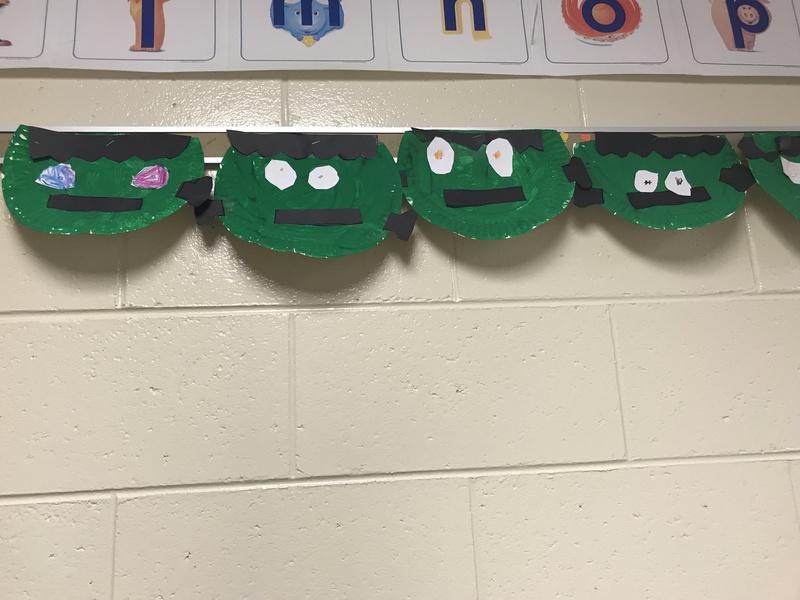 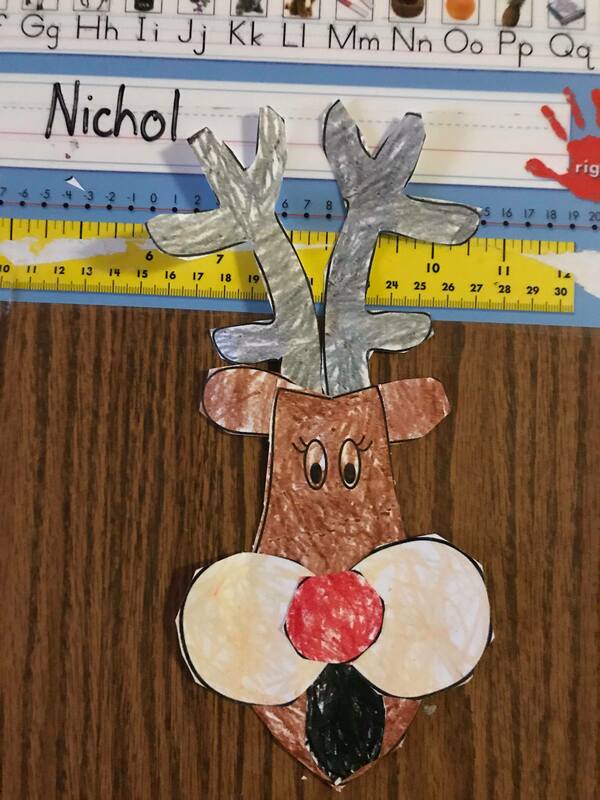 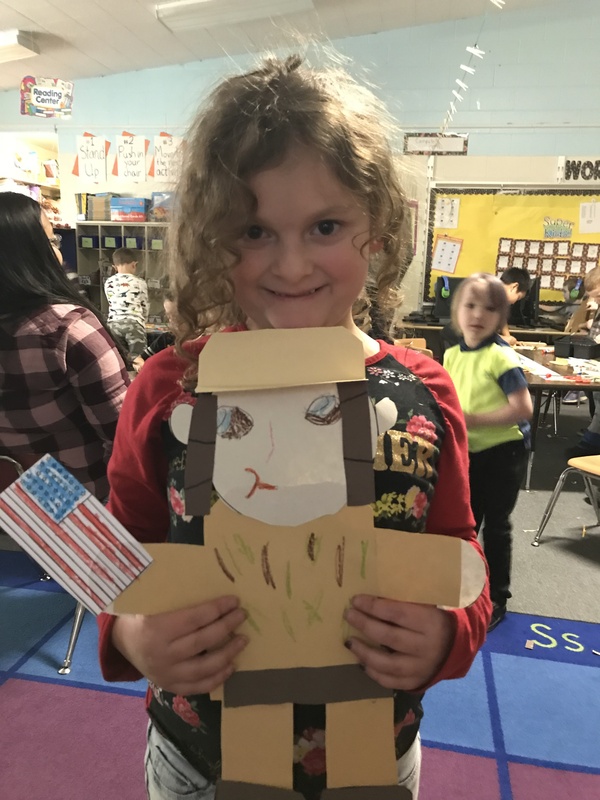 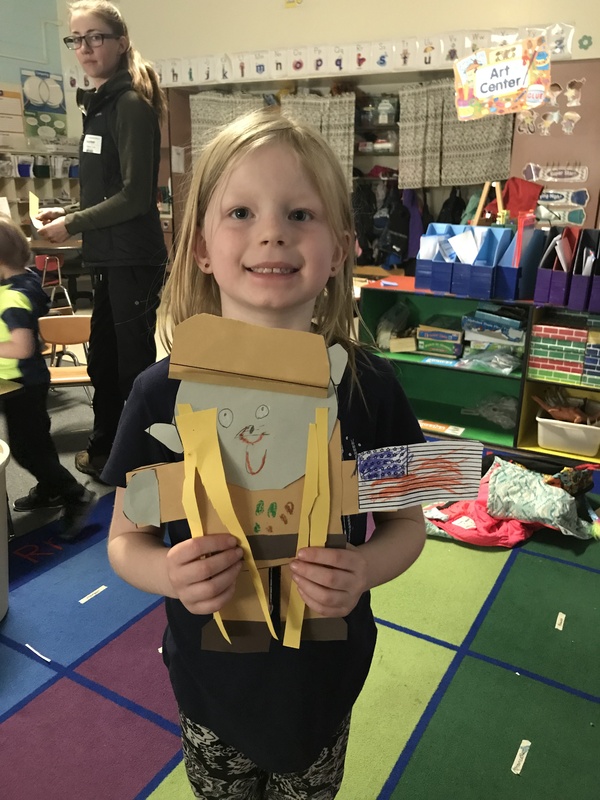 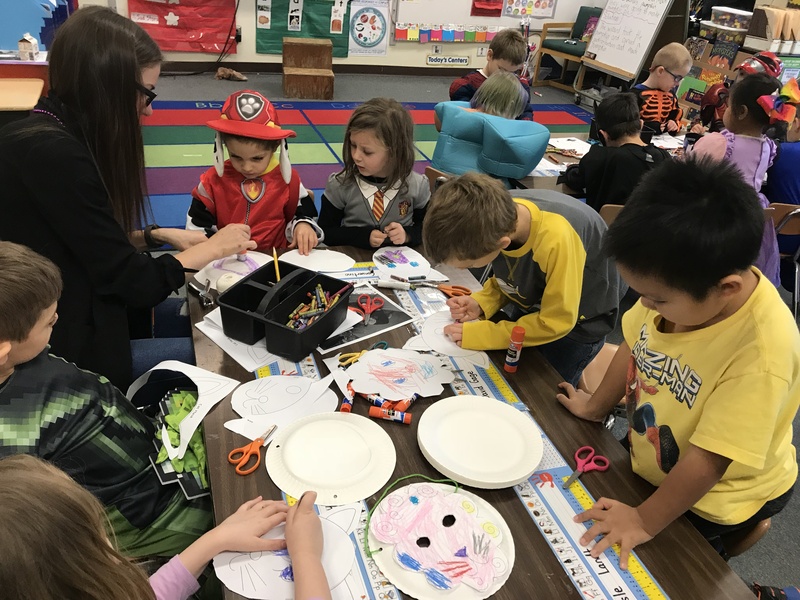 October 26, 2018 We read the story Franklin’s Halloween and made paper plate Frankensteins since Franklin’s Halloween costume was Frankenstein. 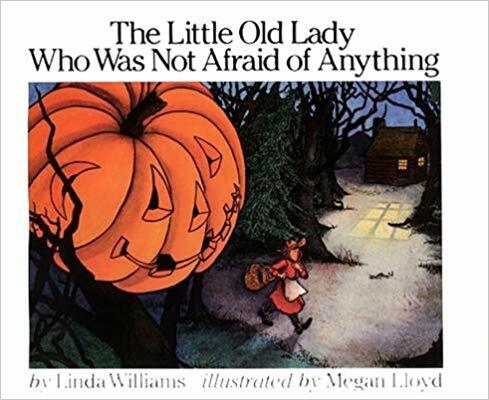 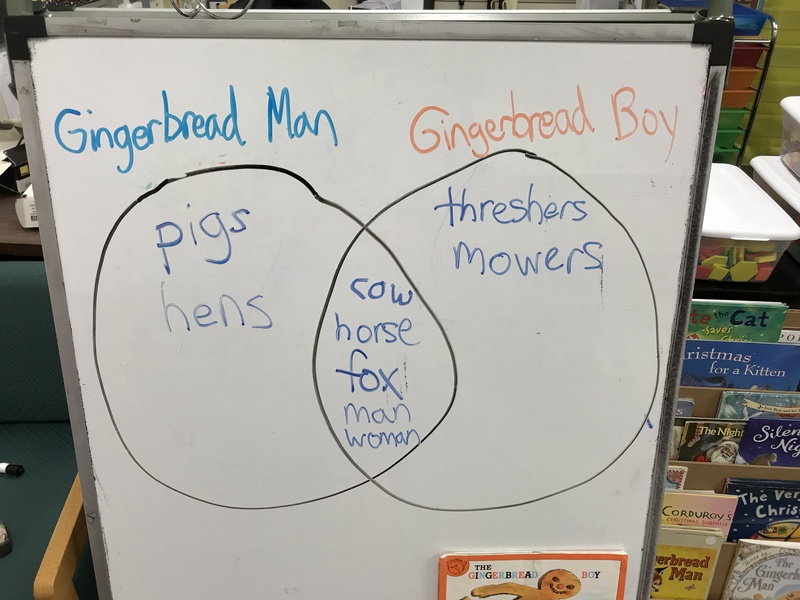 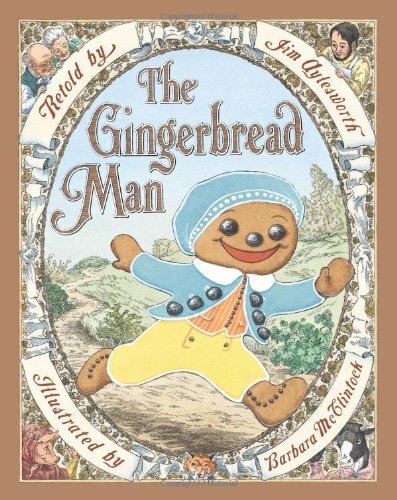 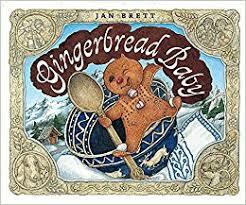 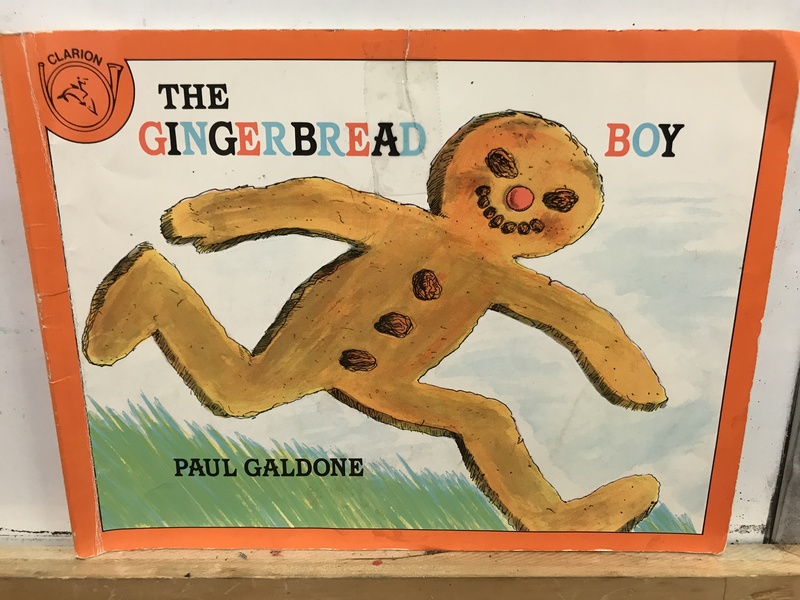 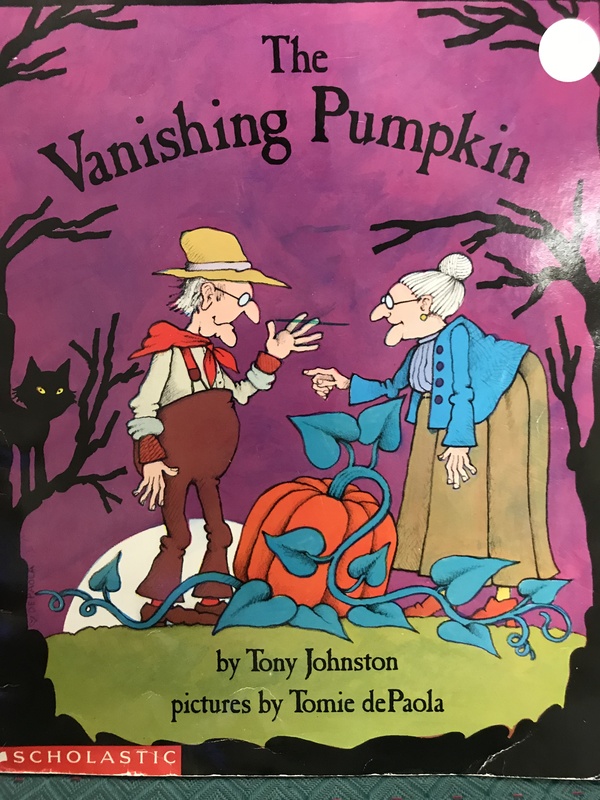 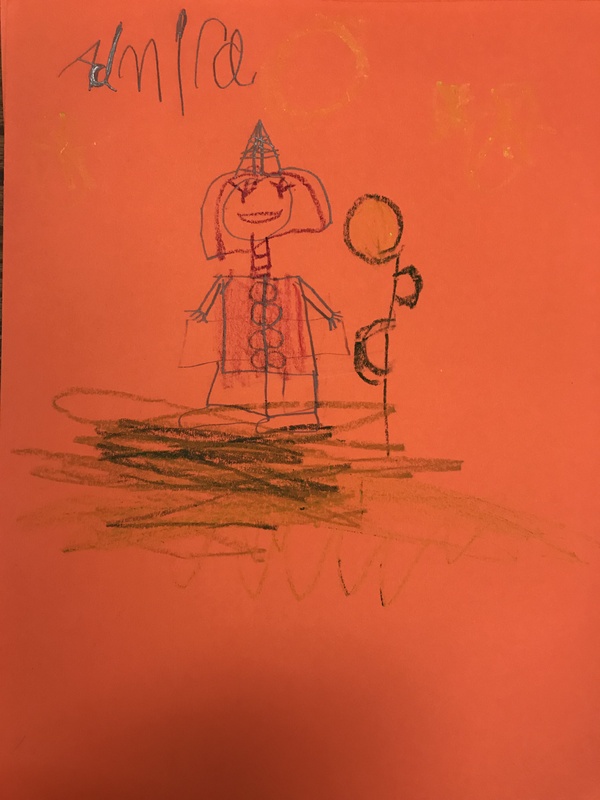 Today we read the story The Old Lady Who Wasn’t Afraid of Anything and used musical instruments to retell the parts of the scarecrow that follow the lady. 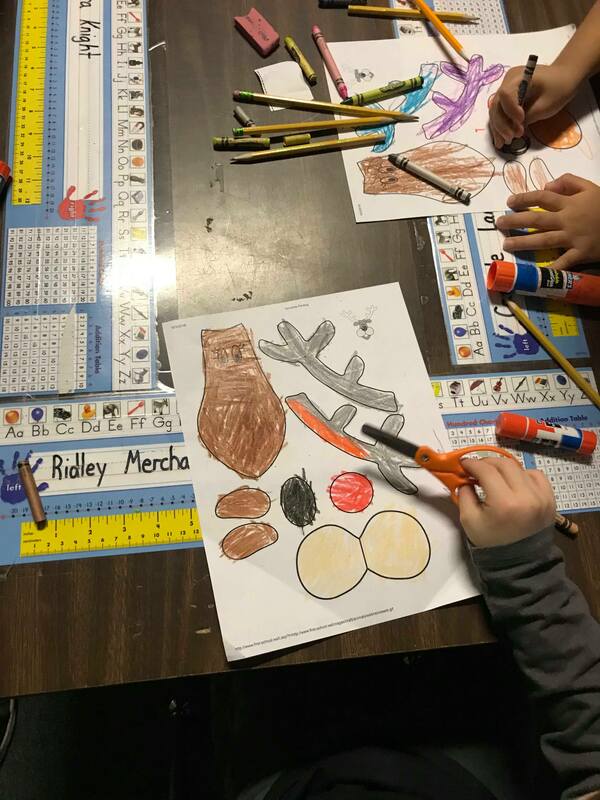 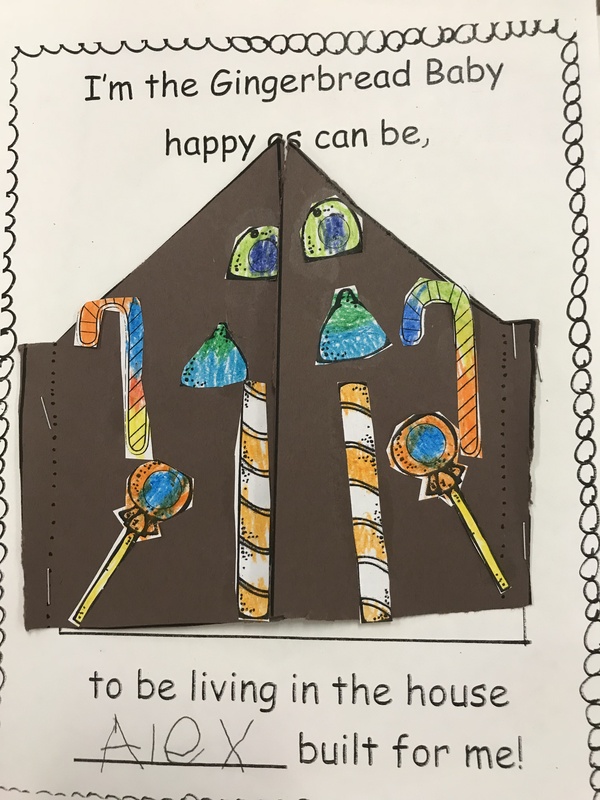 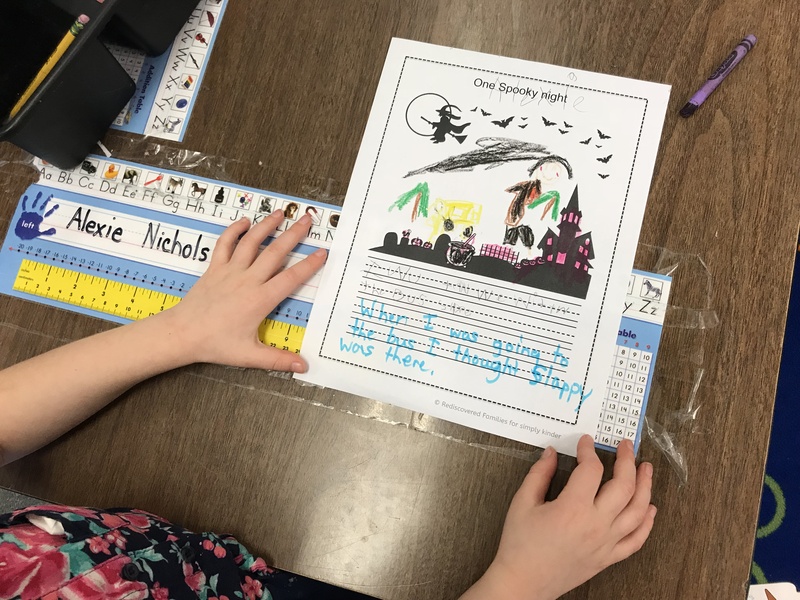 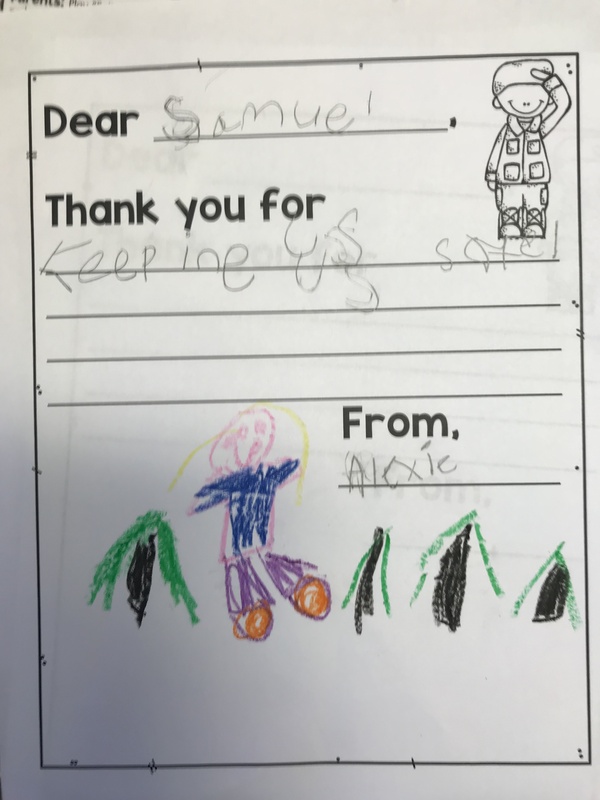 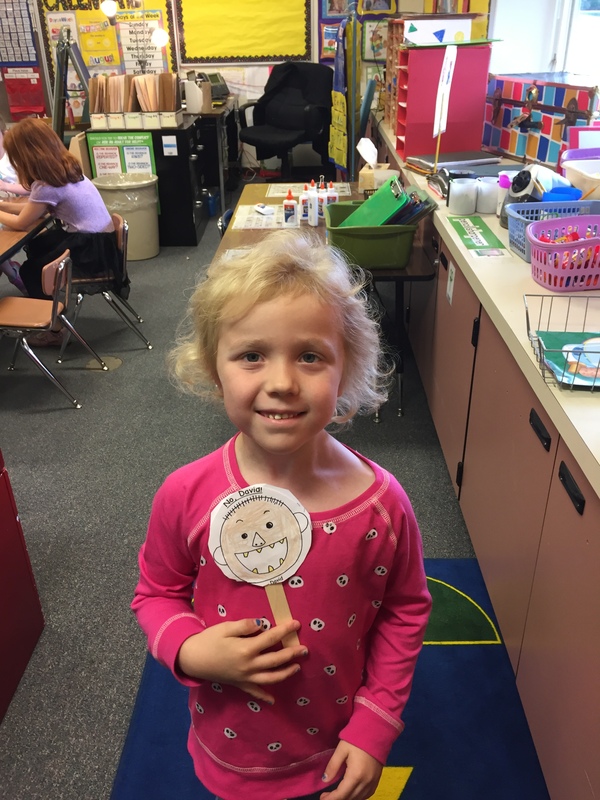 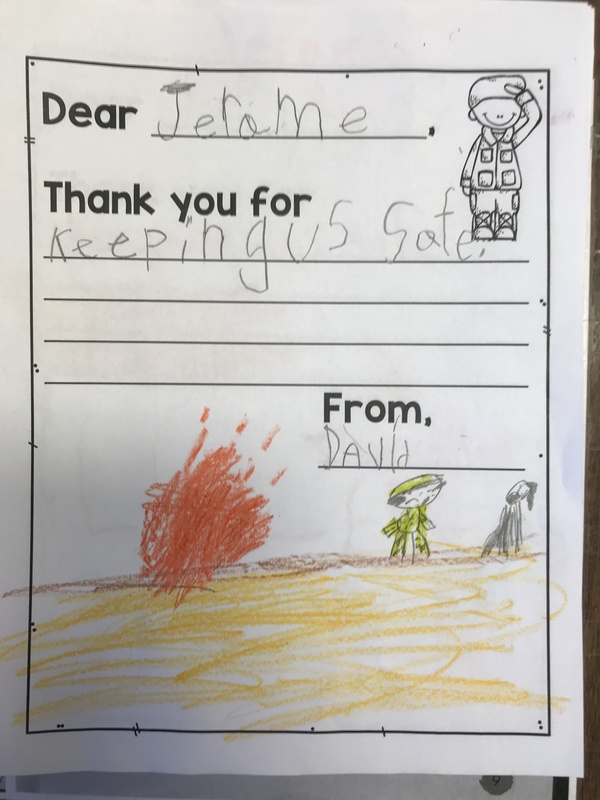 For writing students wrote stories about a spooky night. 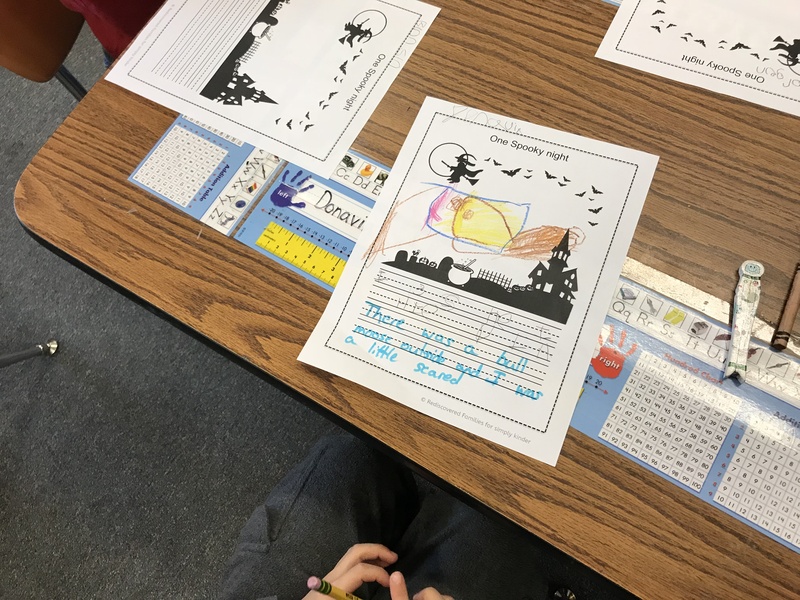 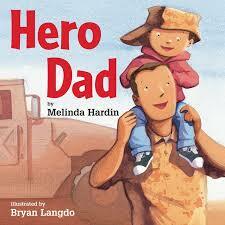 Some students chose to write fiction stories, and some students chose to write about things that really happened. 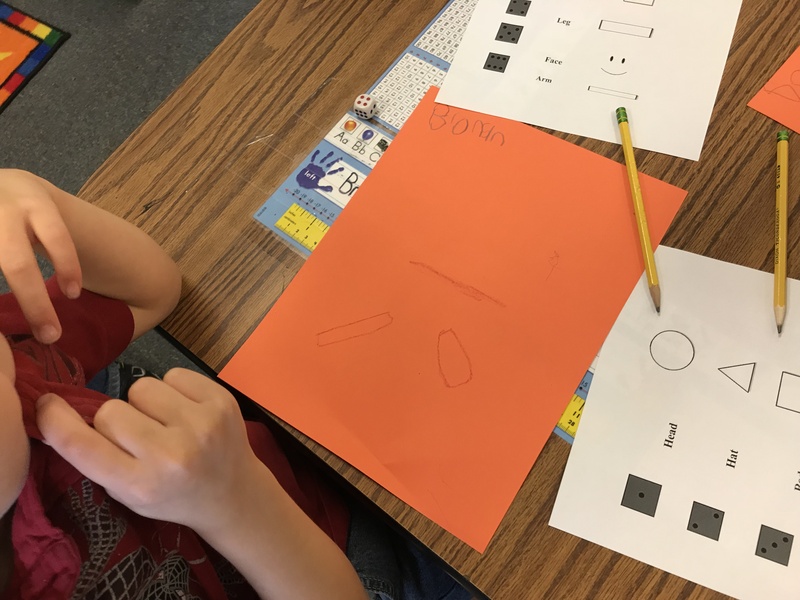 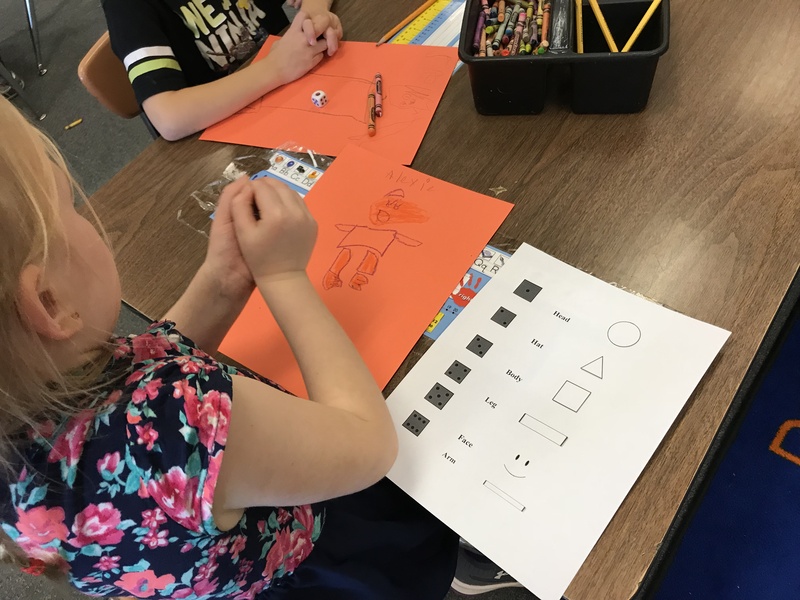 For art students used a dice and matched numbers to shapes that they have to draw. 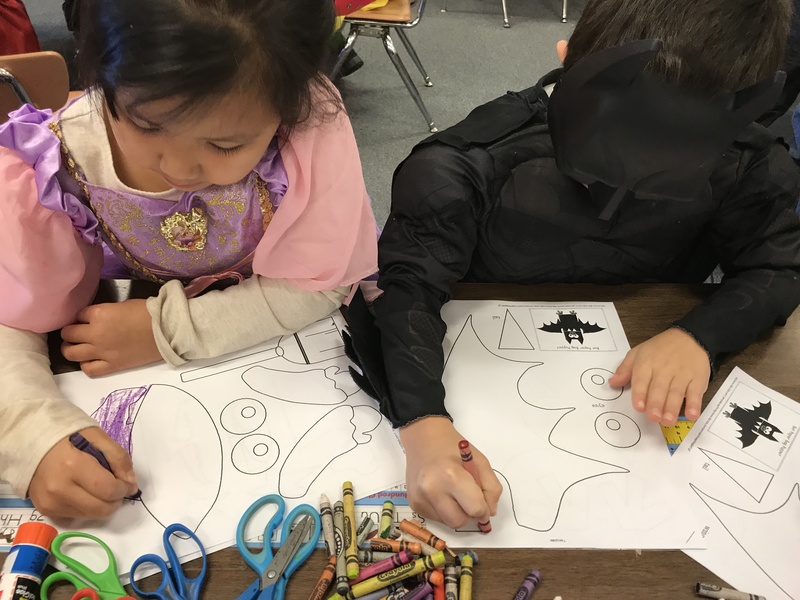 They draw each shape as a part of a body of the scarecrow. 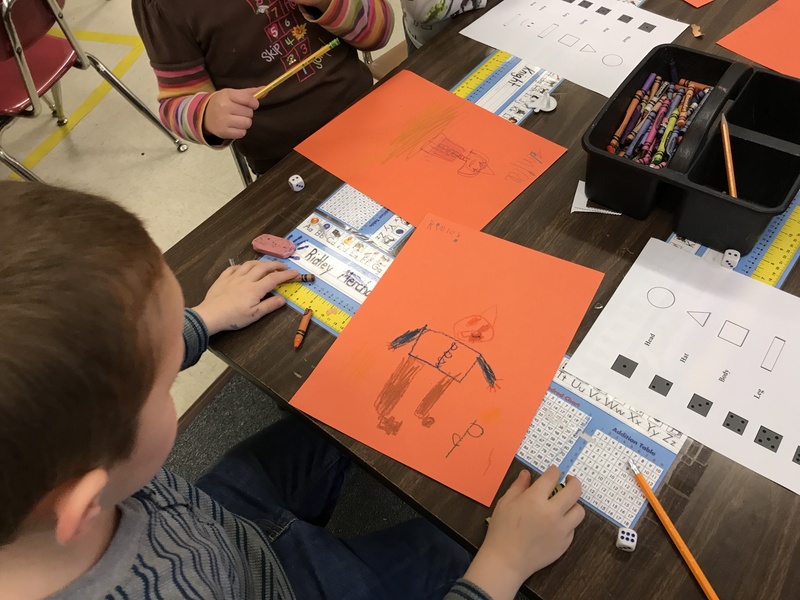 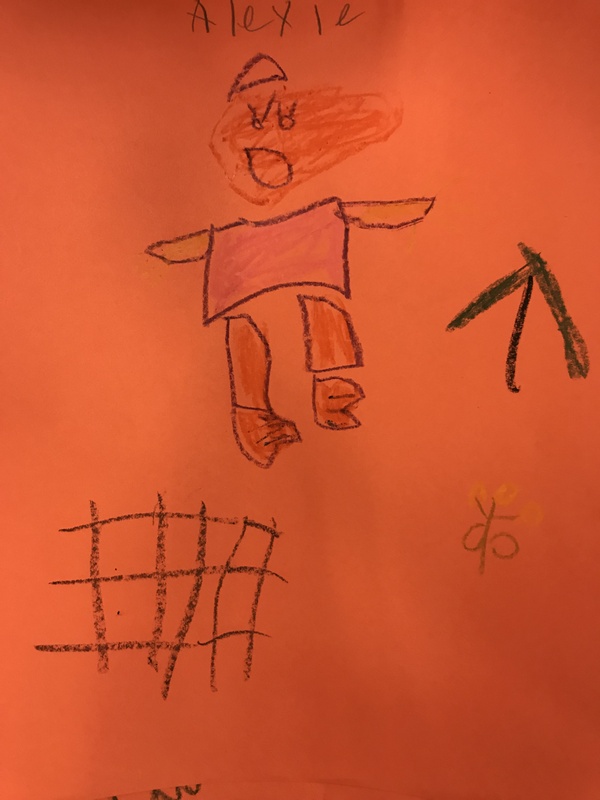 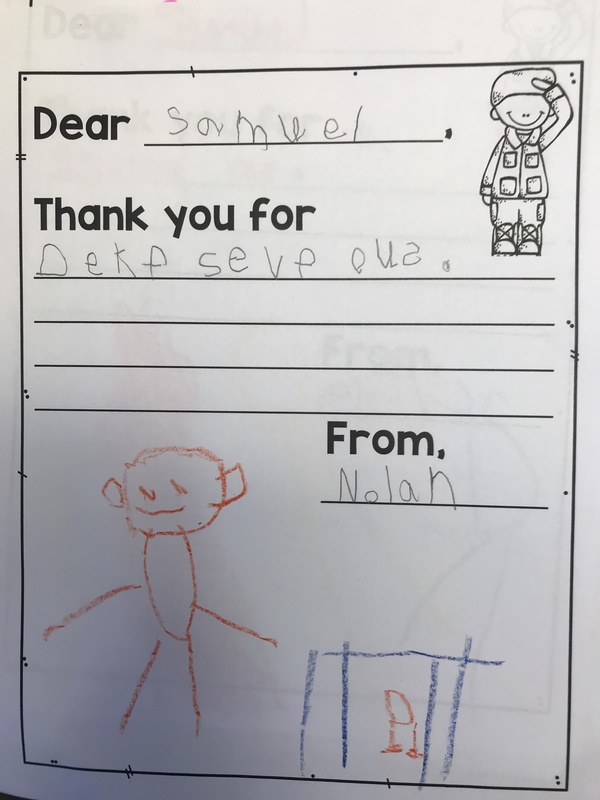 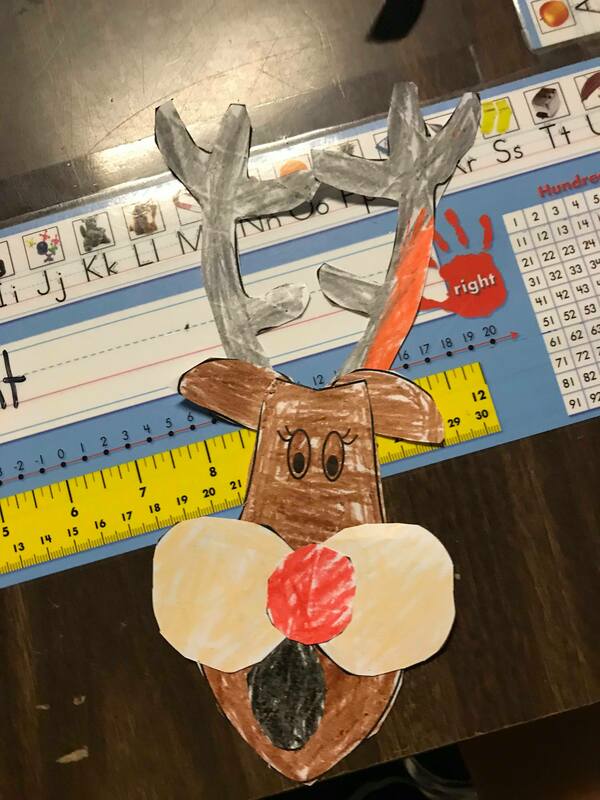 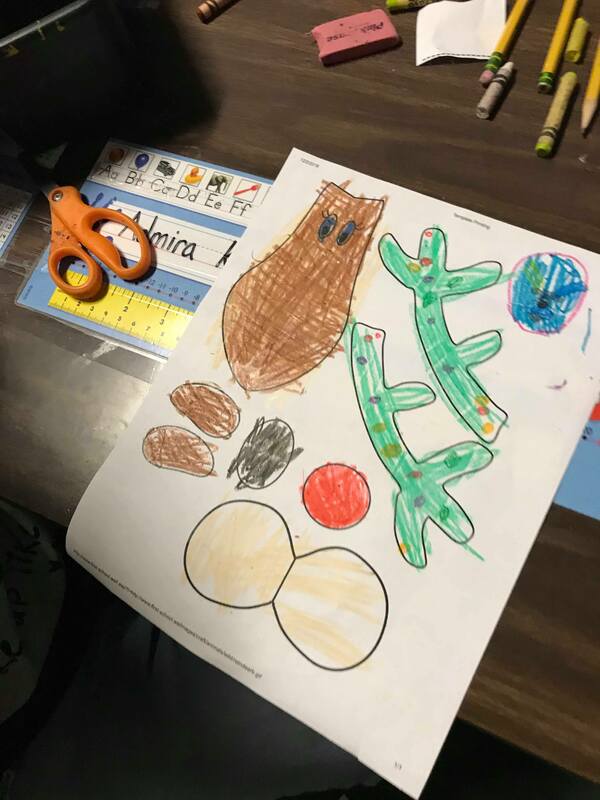 As students complete this activity they start to notice how they are drawing the scarecrow in an unusual way. 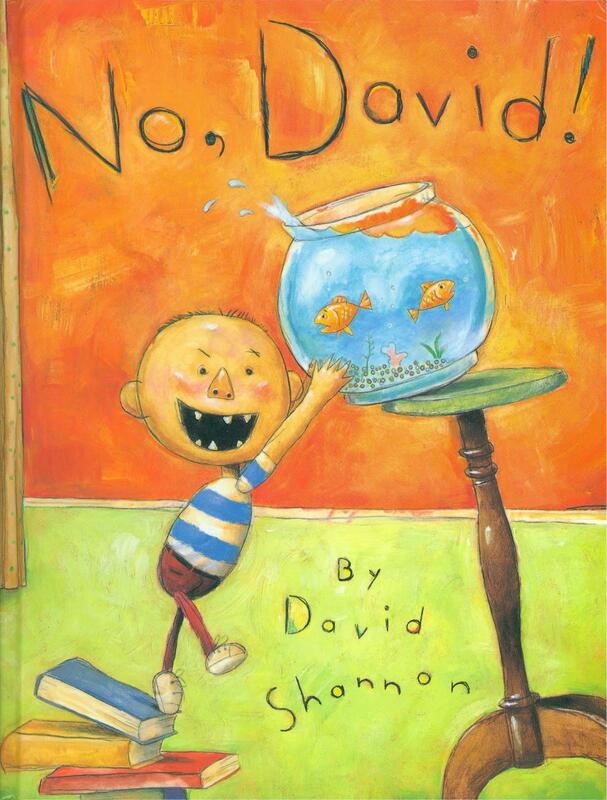 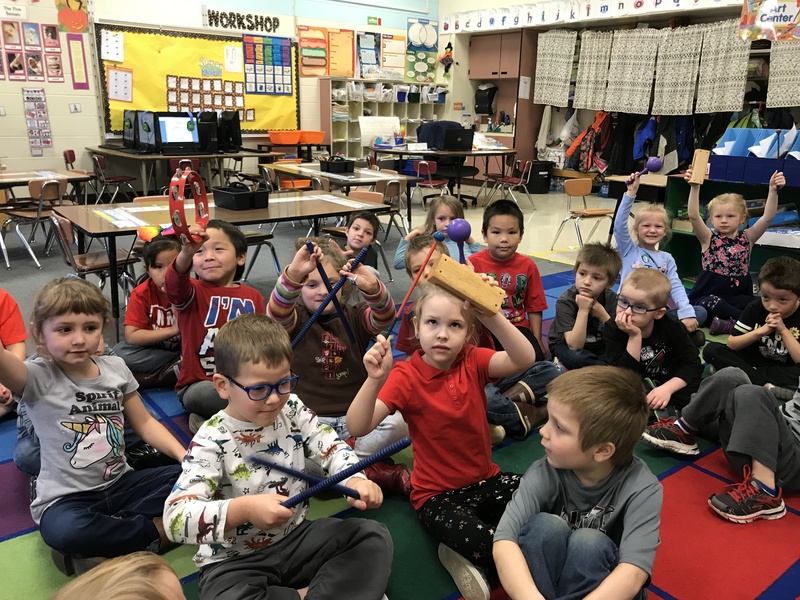 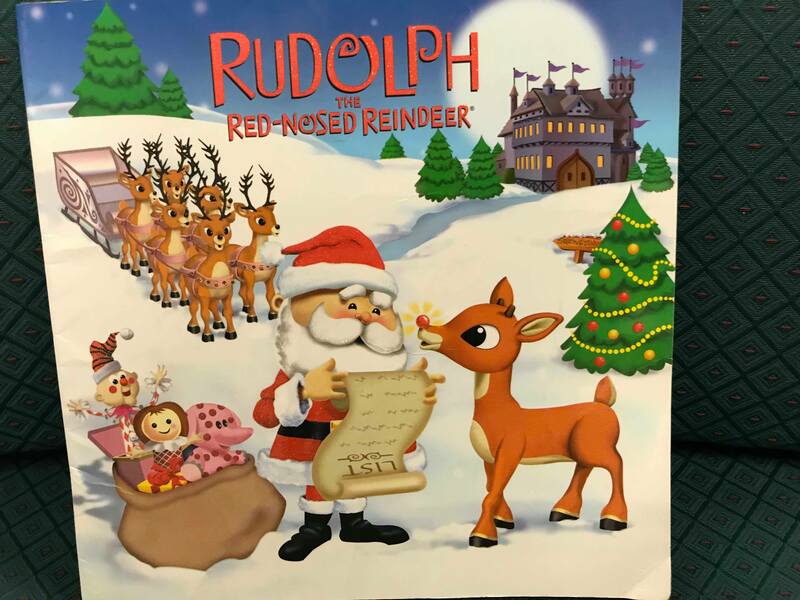 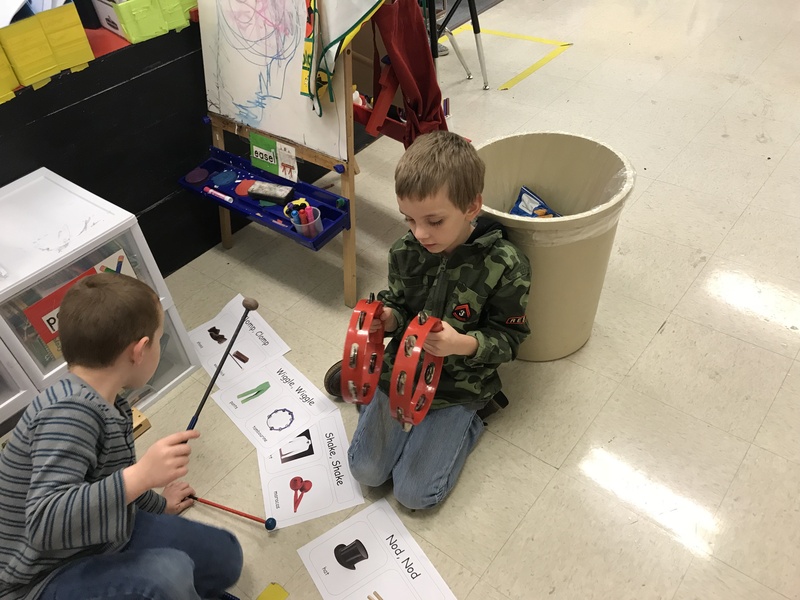 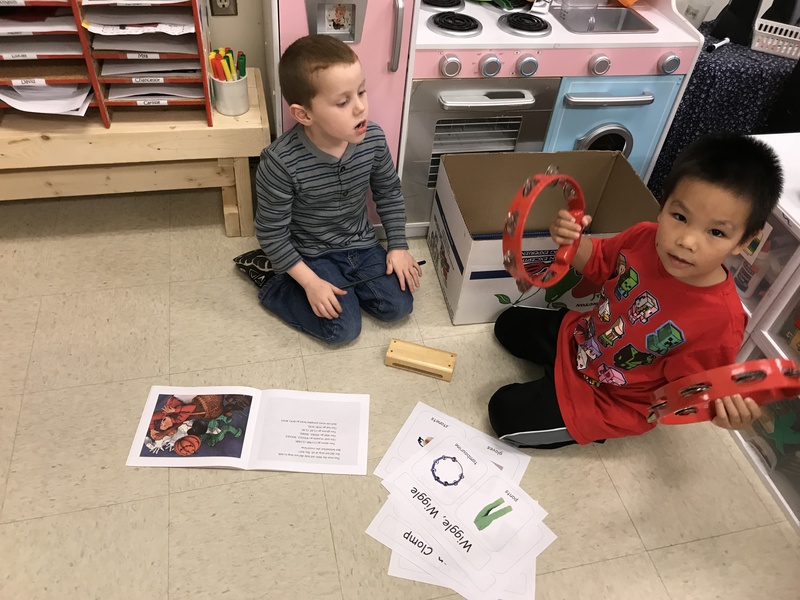 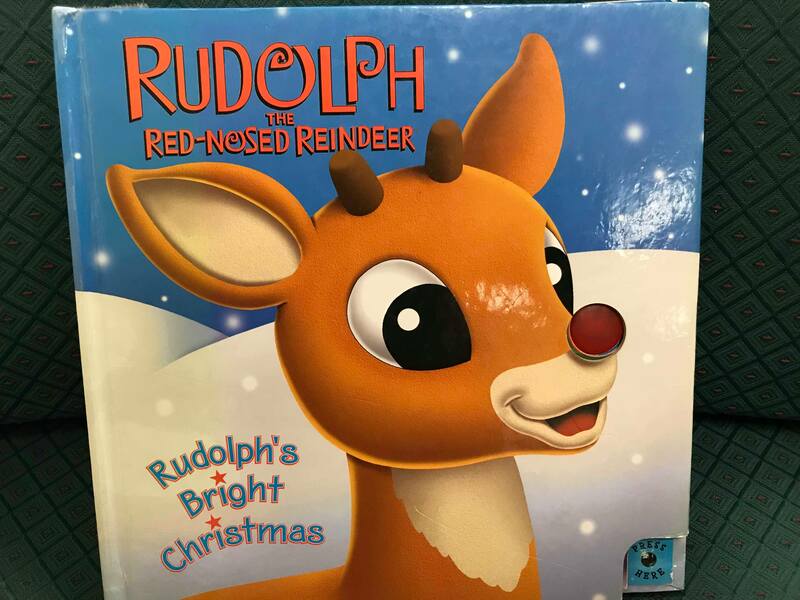 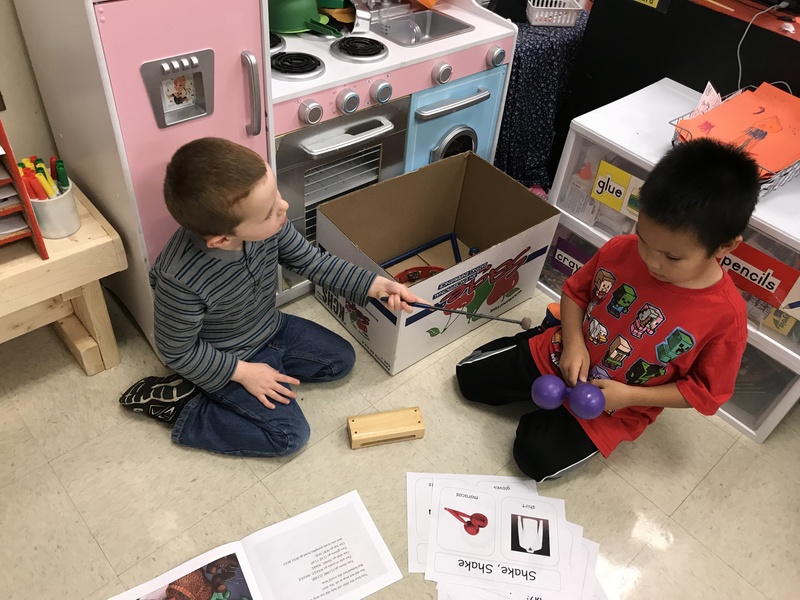 Finally students were given the instruments and the book to use at our dramatic play center for free choice centers to retell the story on their own.